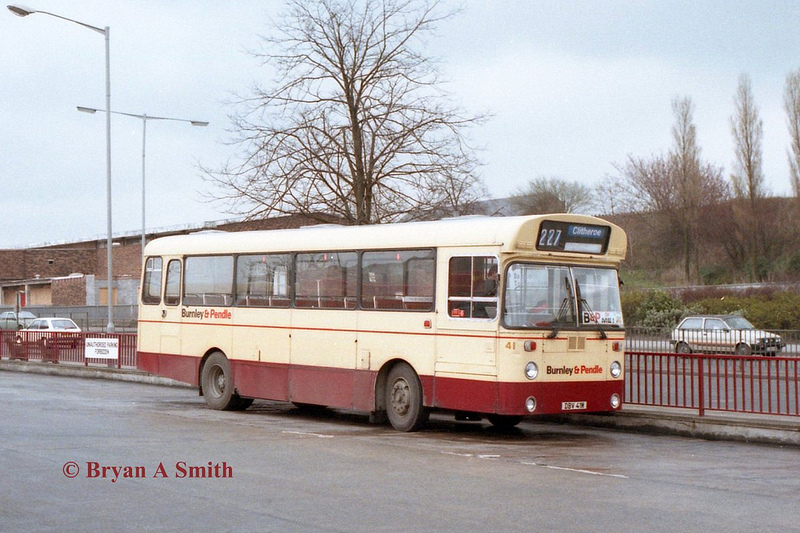 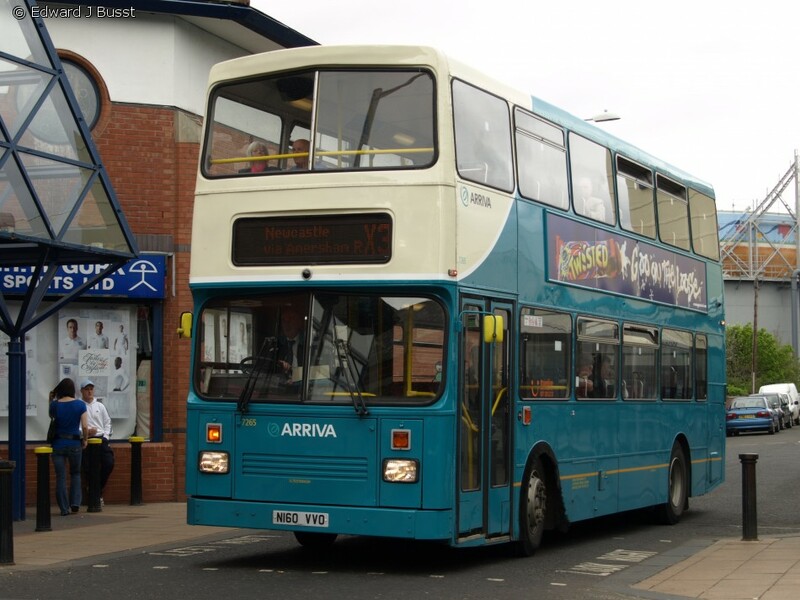 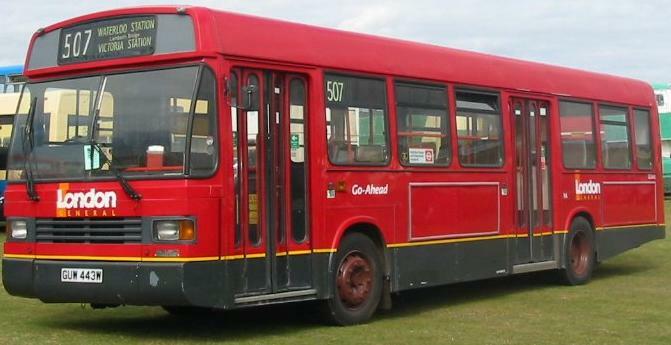 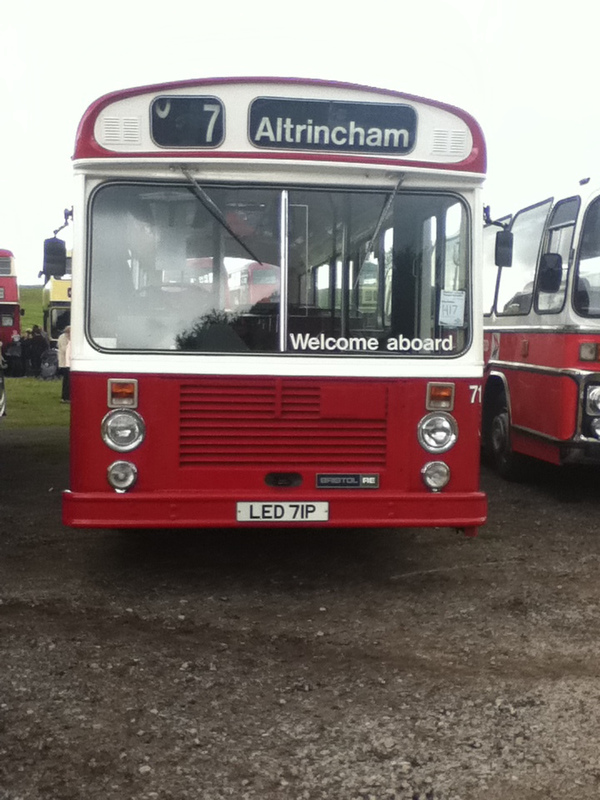 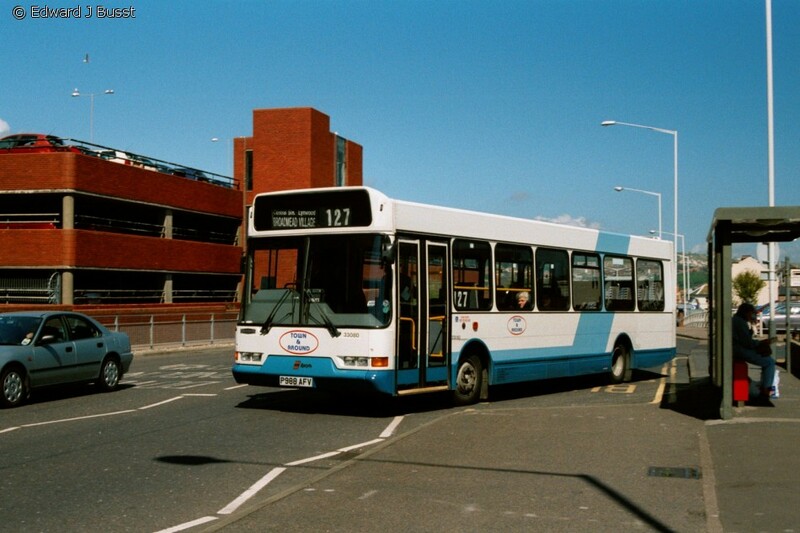 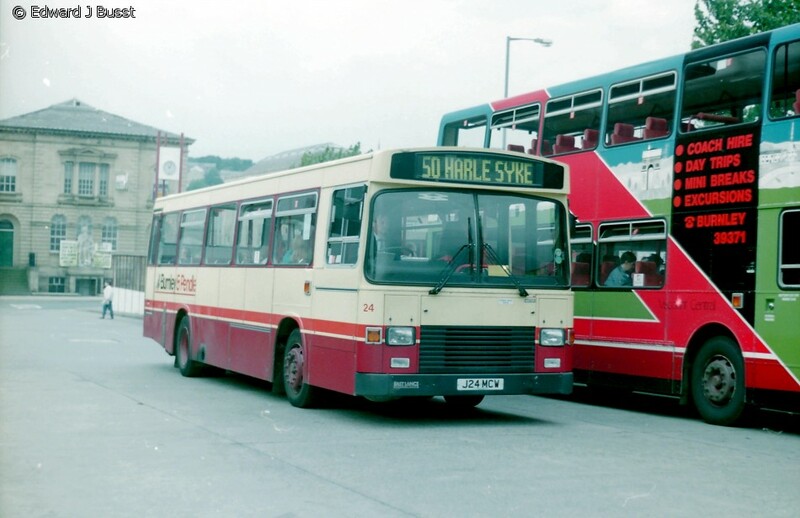 An East Lancs Olympus, one of the last East Lancs badged products, this one run by Metroline. 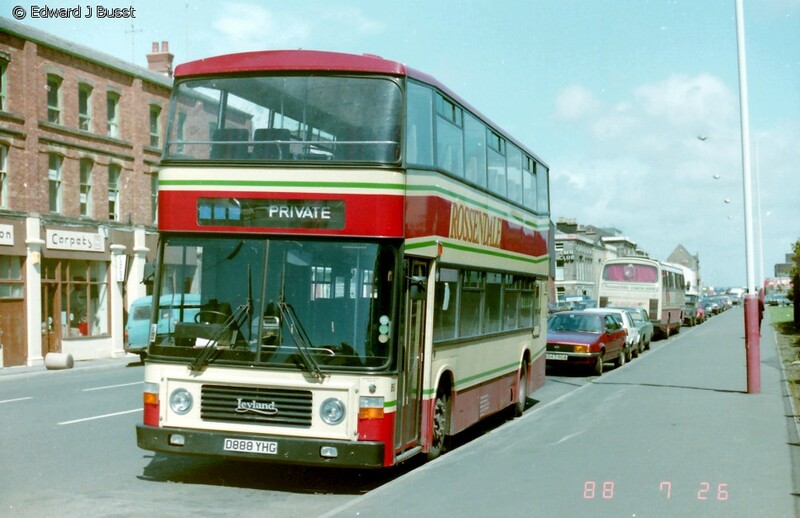 A 1987 high capacity East Lancs body on Scania K92 chassis: one of the last built to this flat-fronted style. 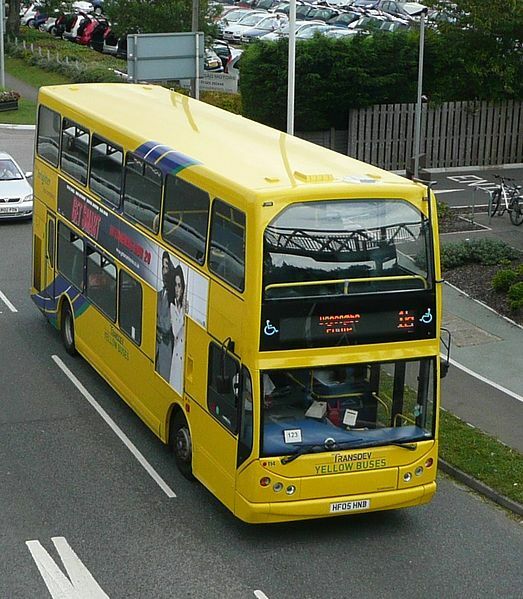 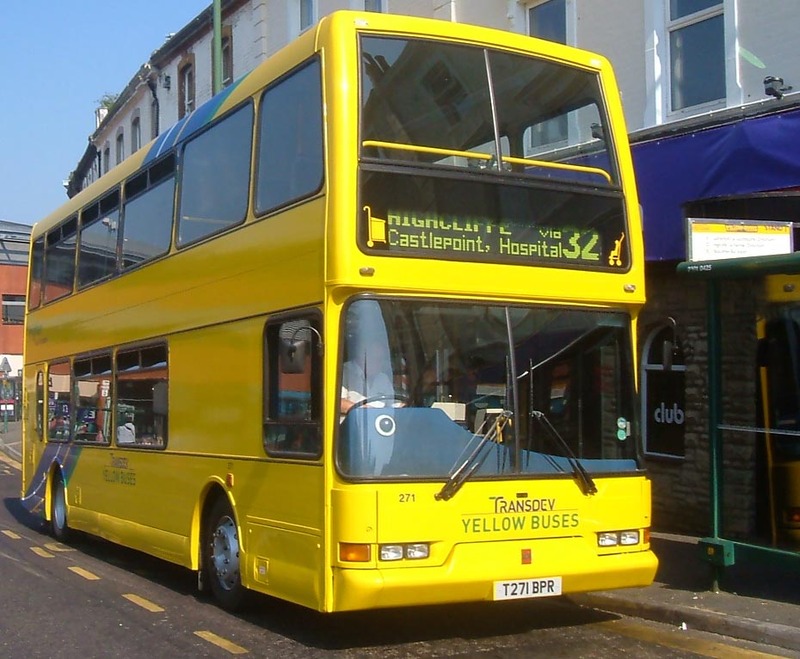 A Lolyne run by Transdev Yellow Buses. 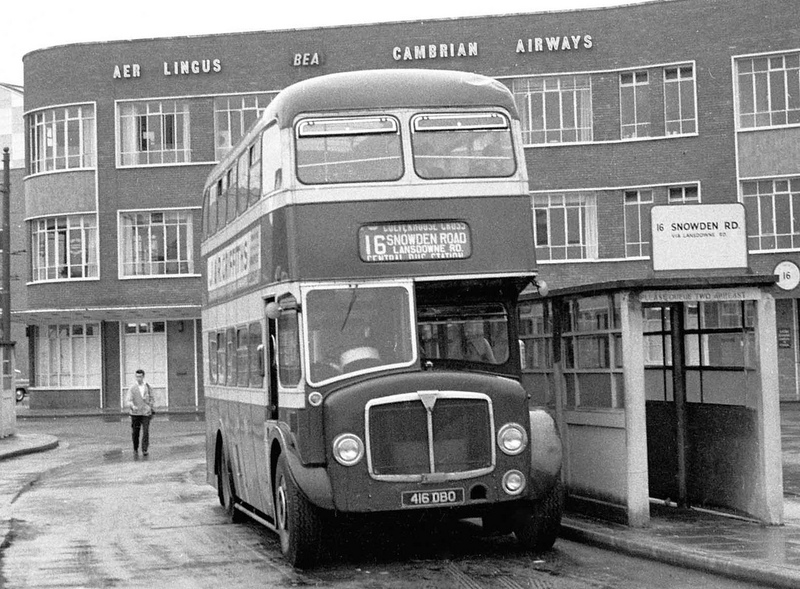 East Lancashire Coachbuilders Limited was a manufacturer of bus bodies and carriages founded in 1934 in Blackburn, Lancashire, England. 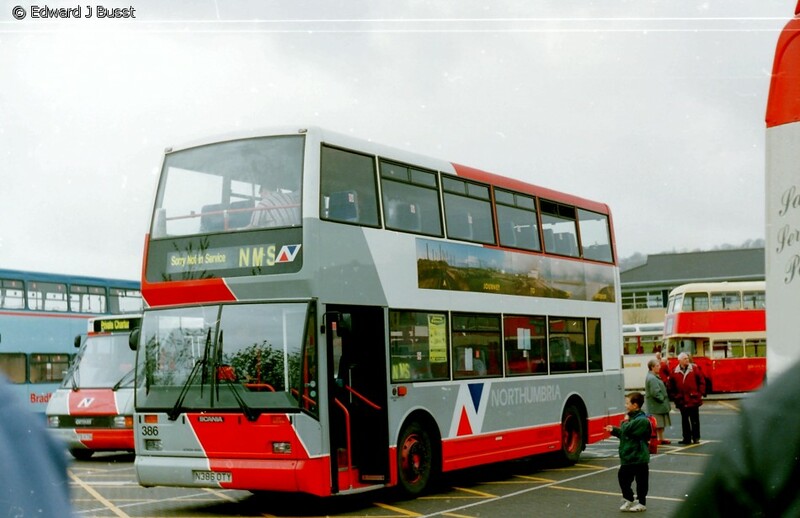 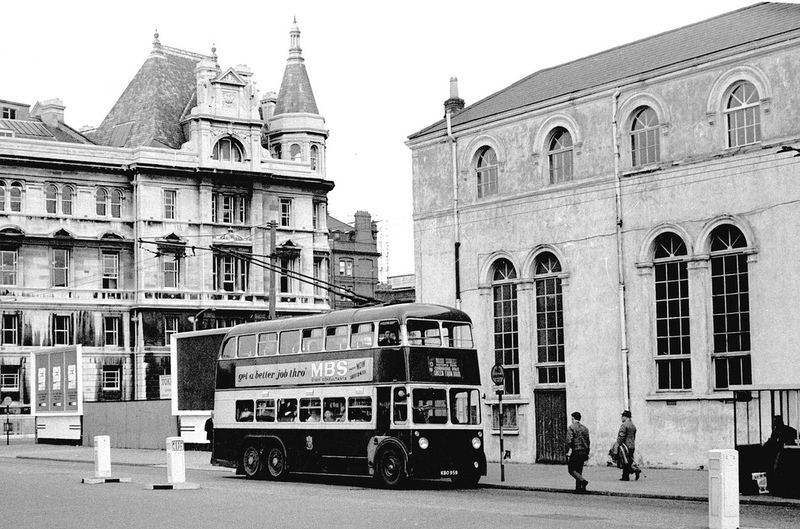 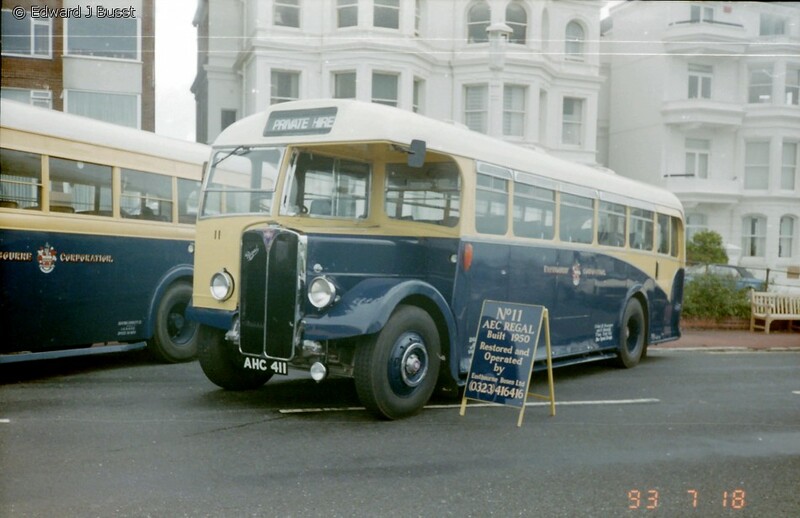 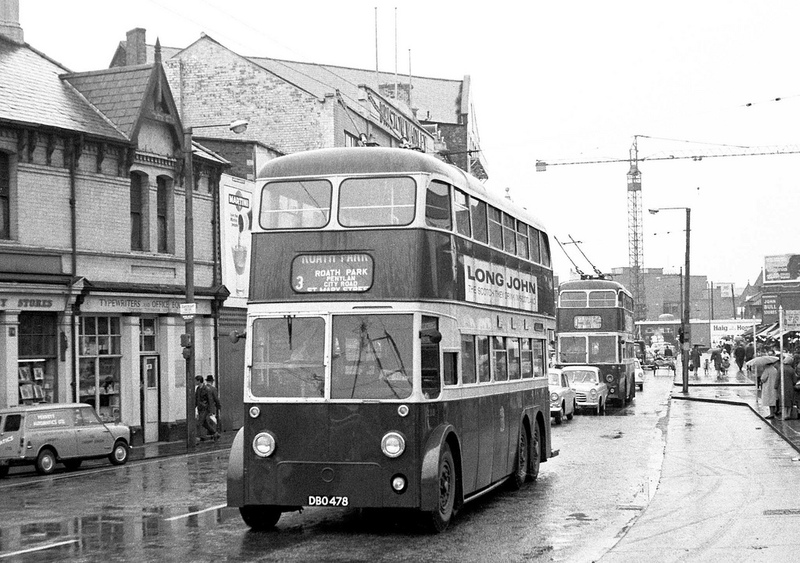 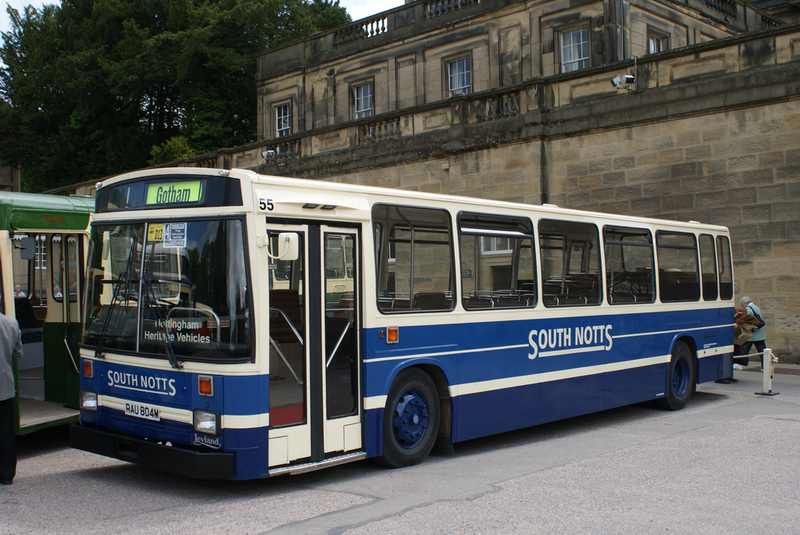 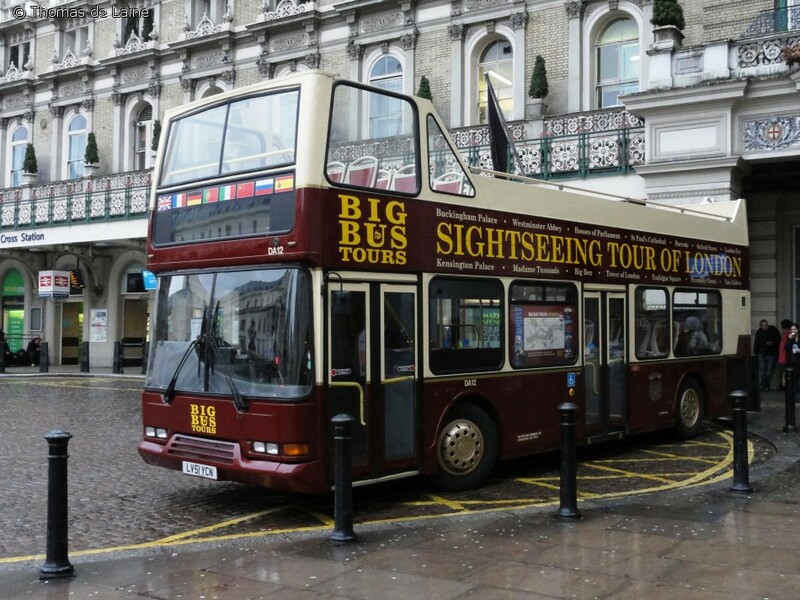 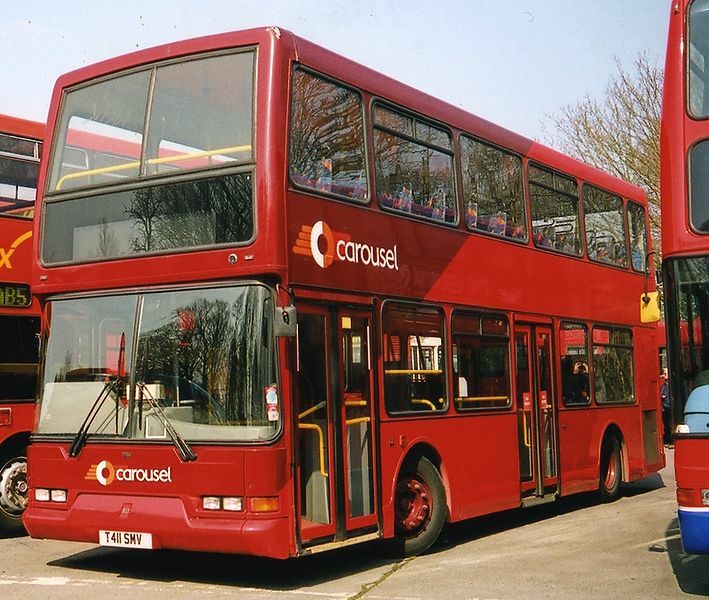 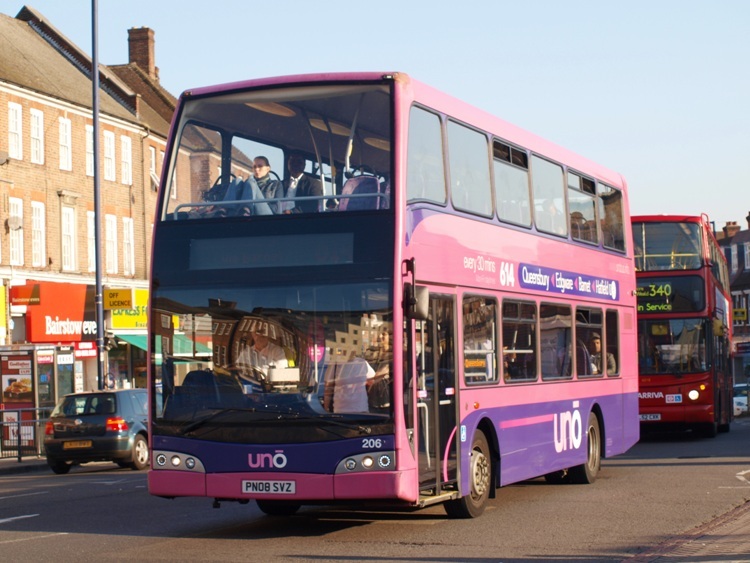 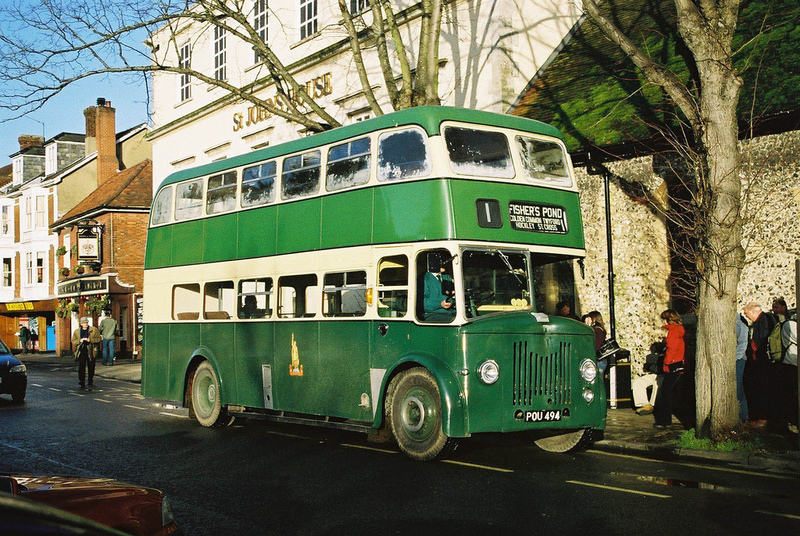 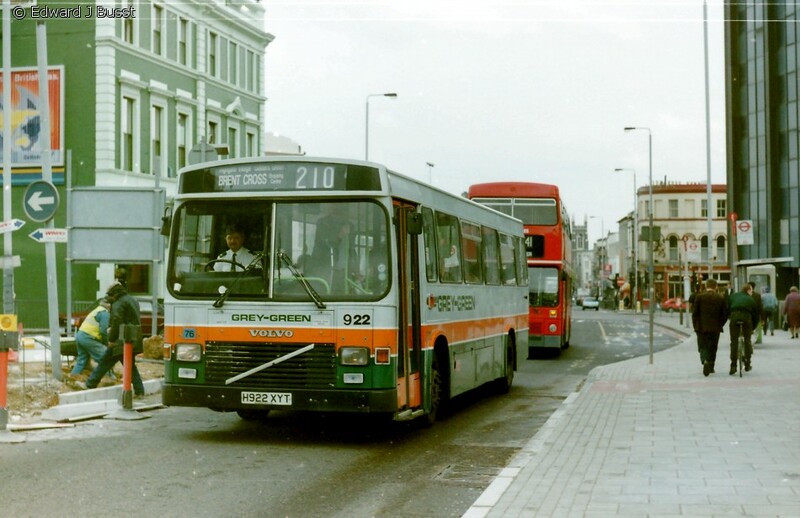 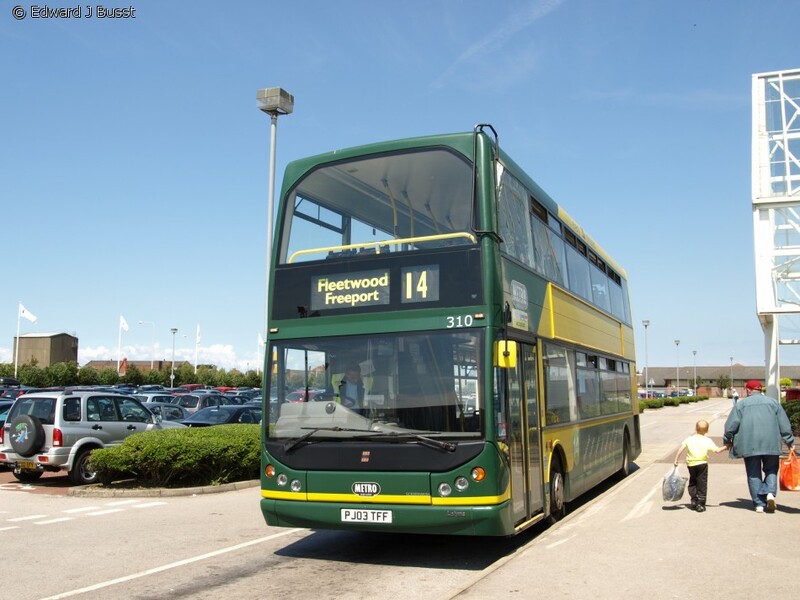 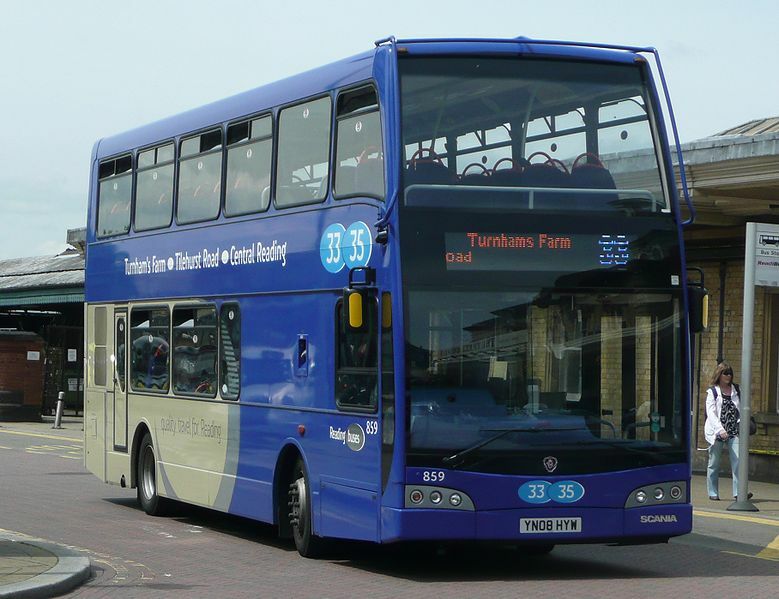 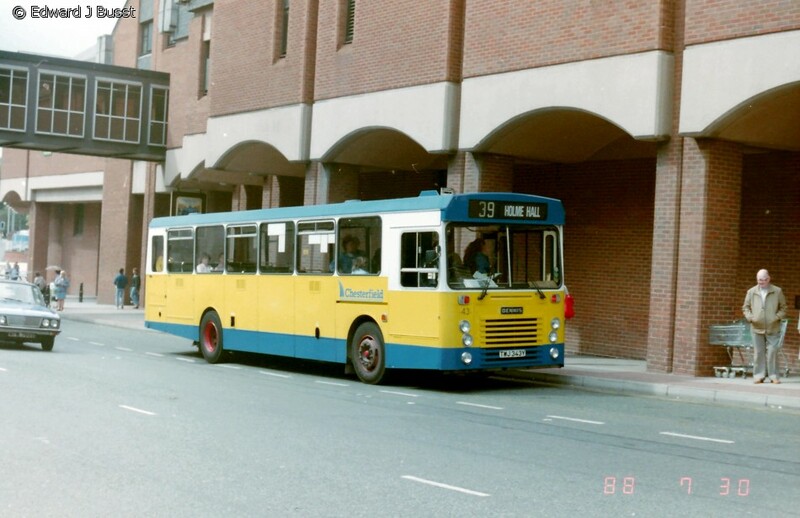 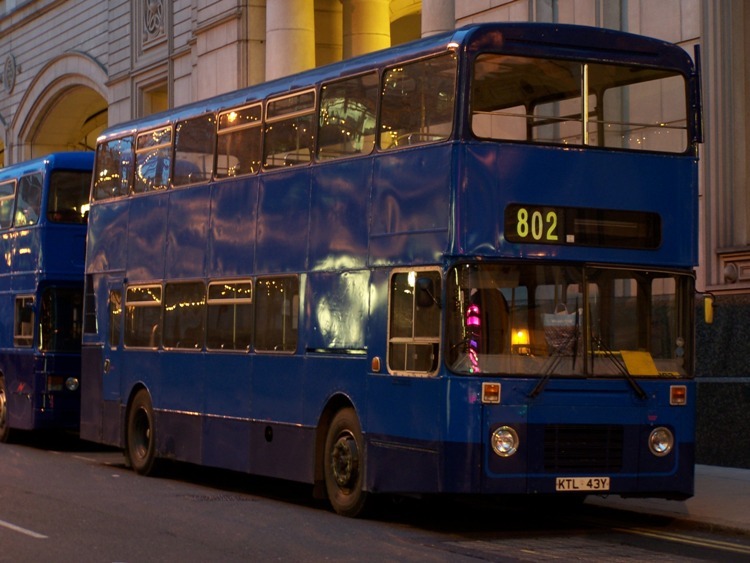 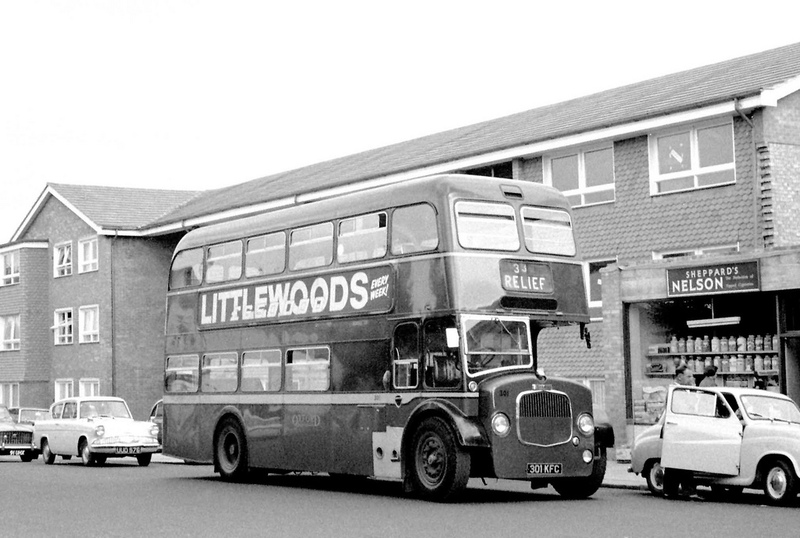 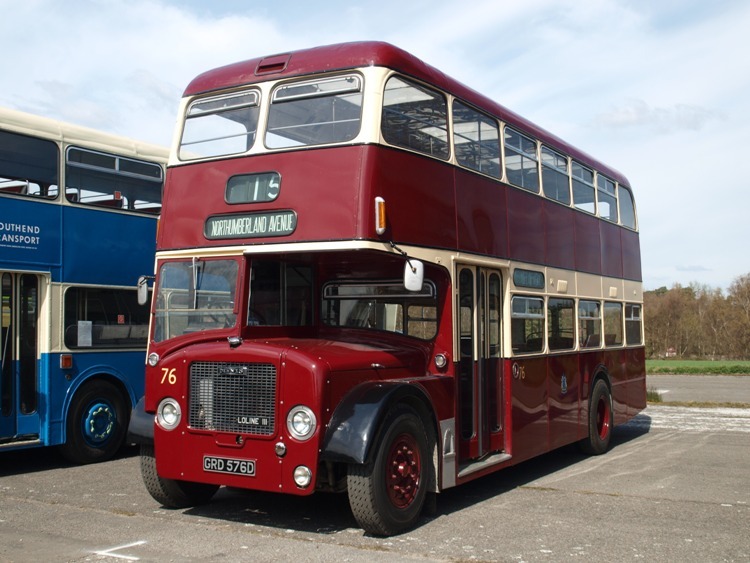 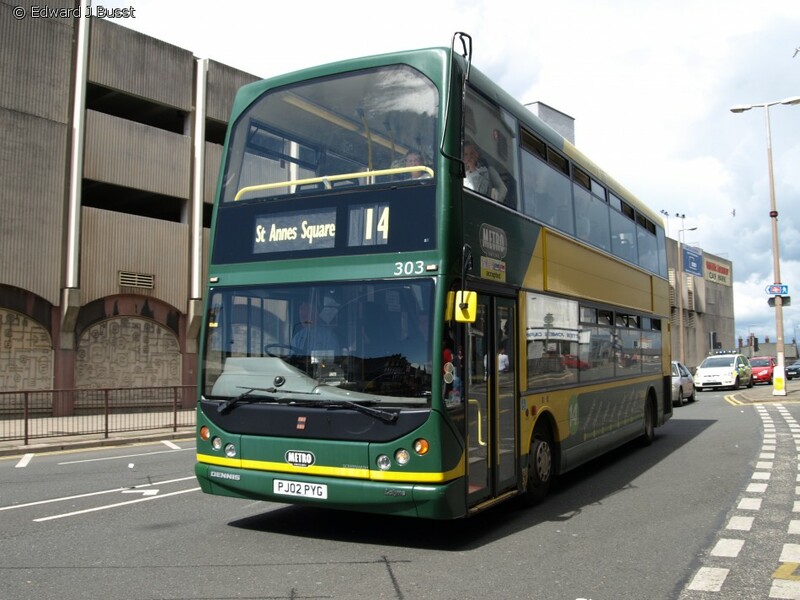 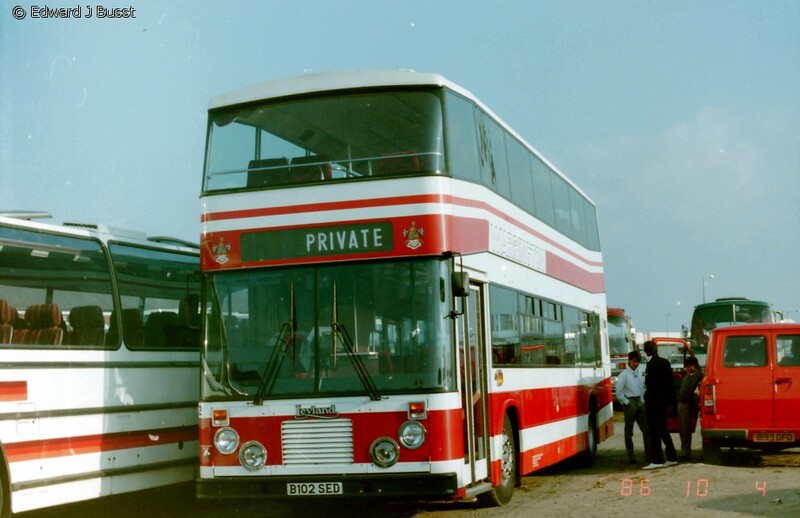 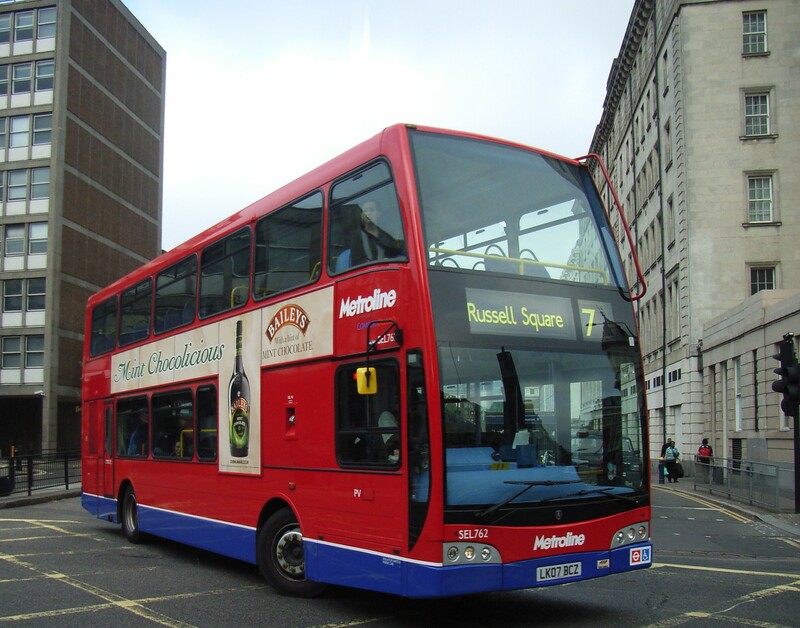 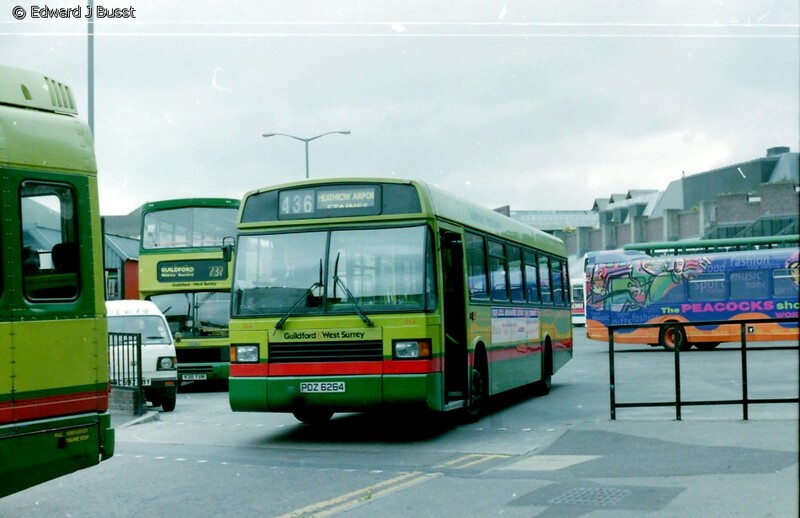 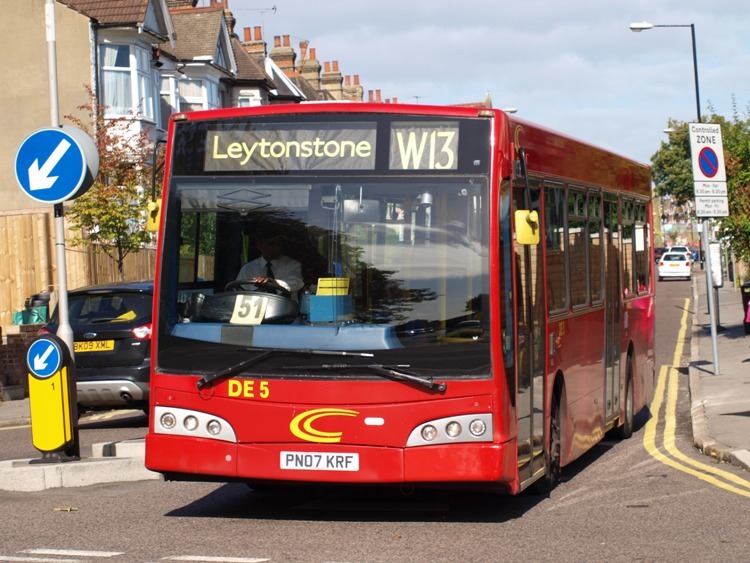 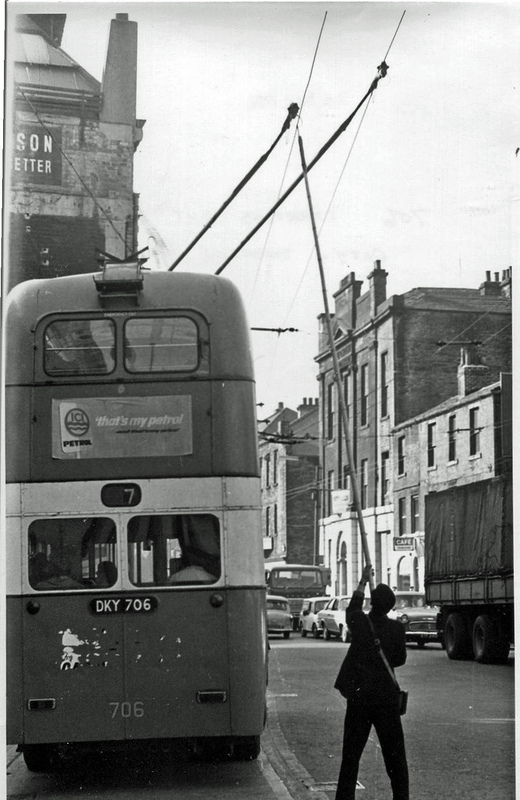 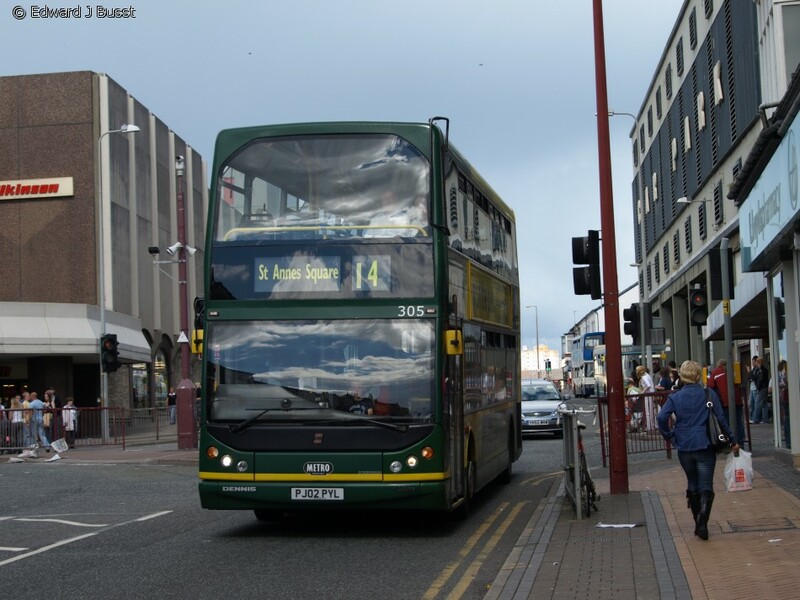 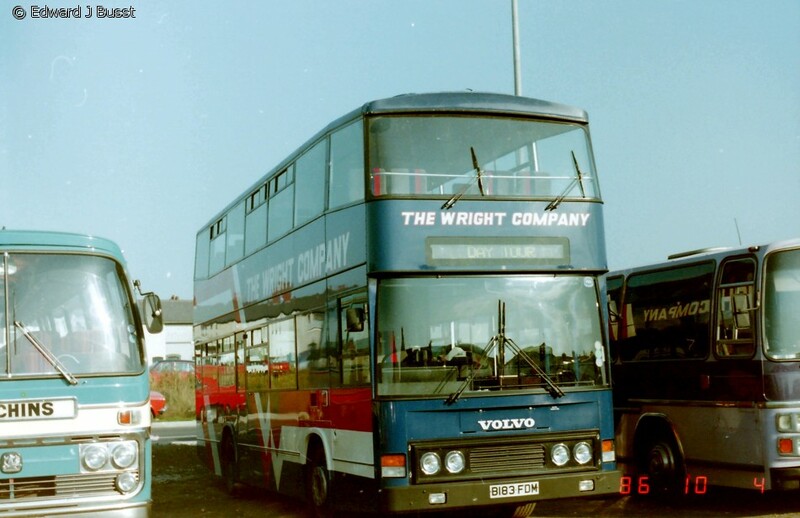 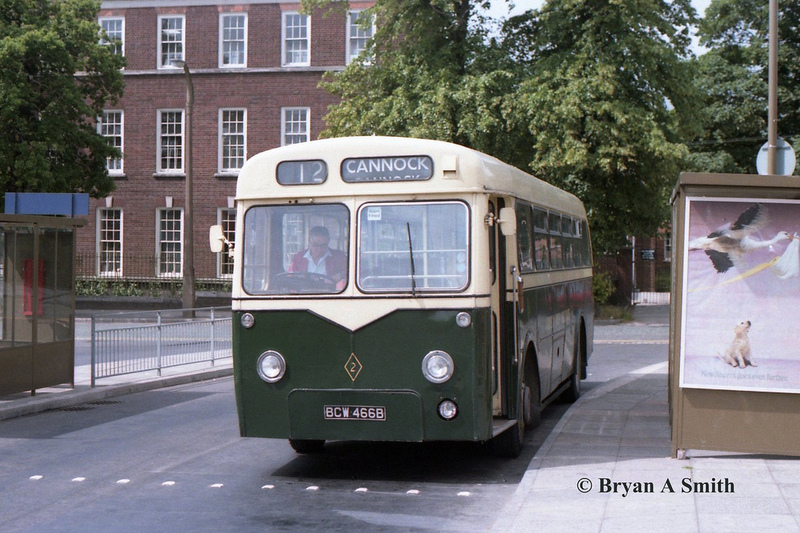 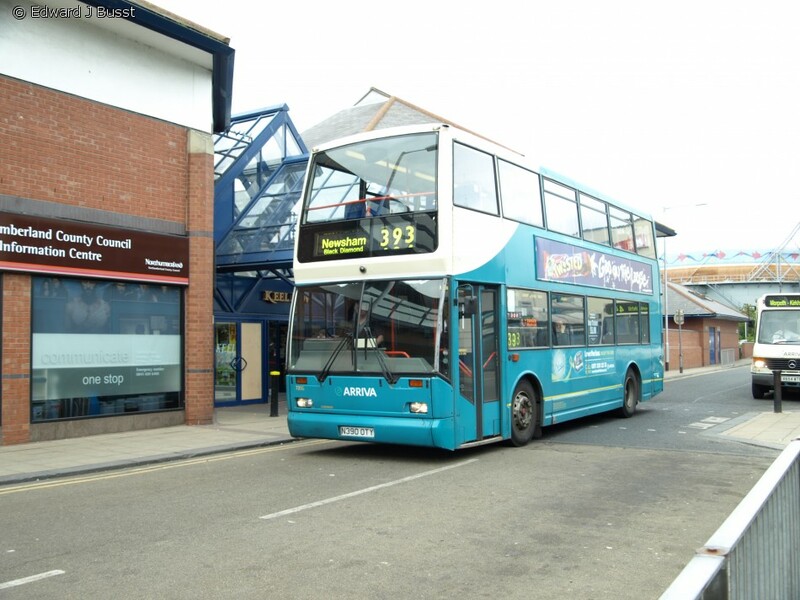 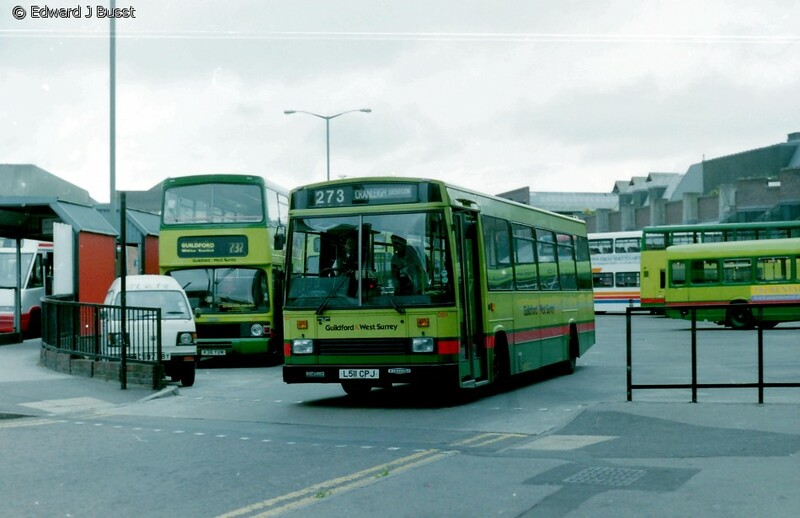 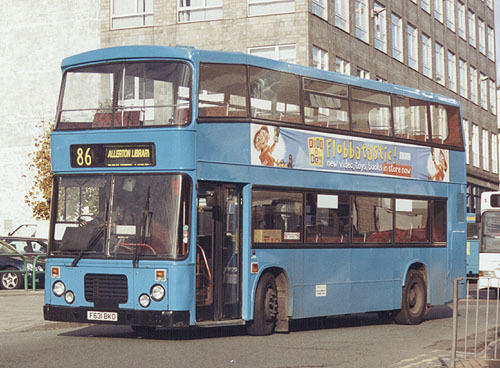 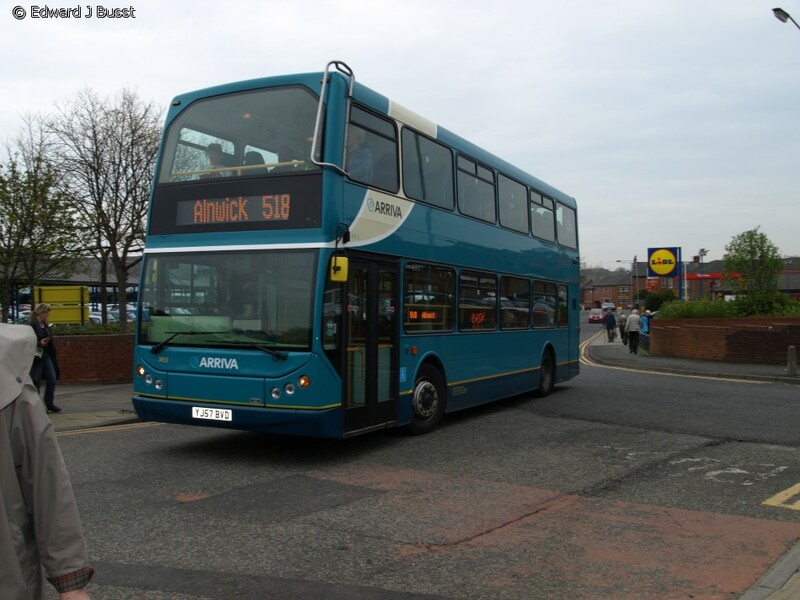 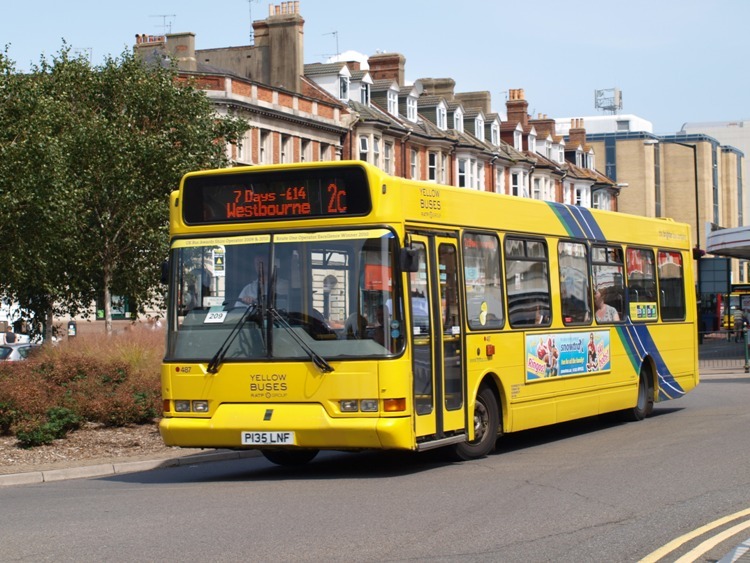 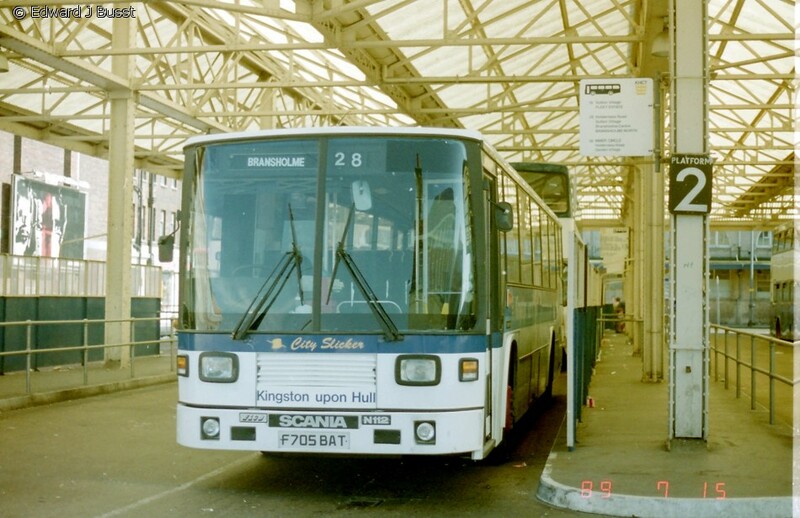 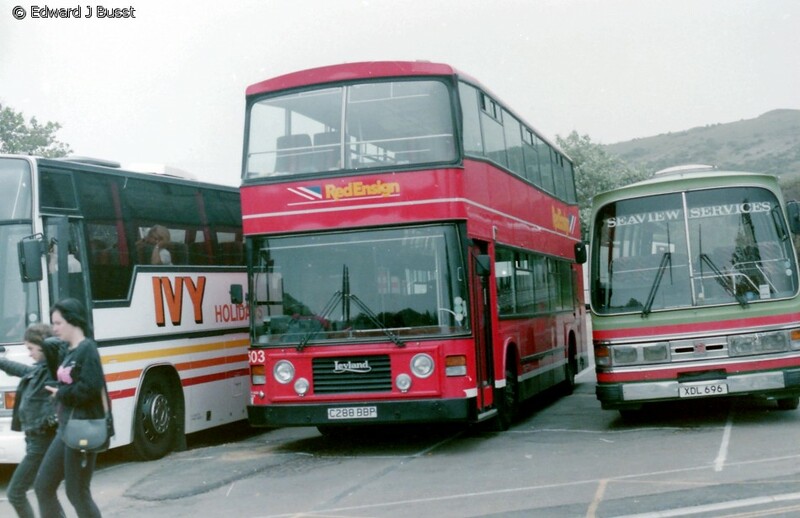 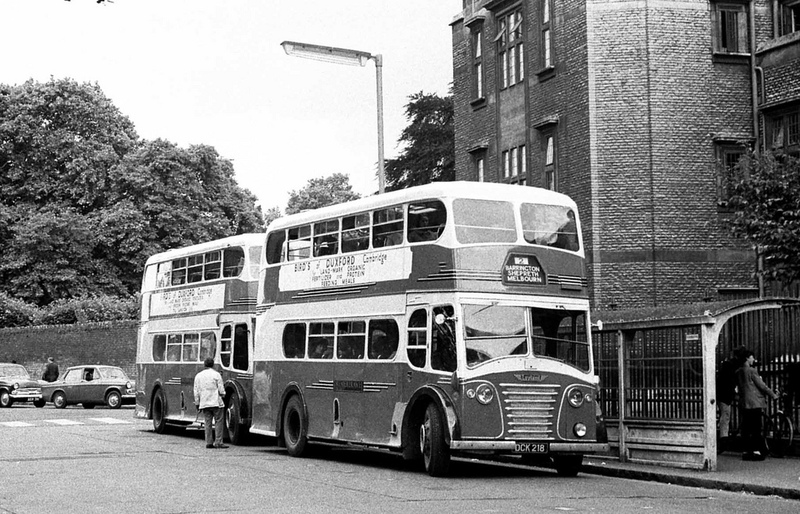 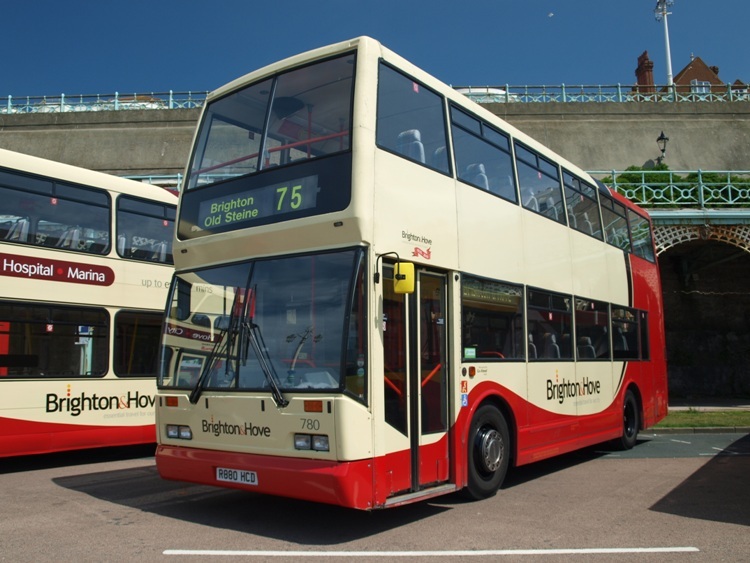 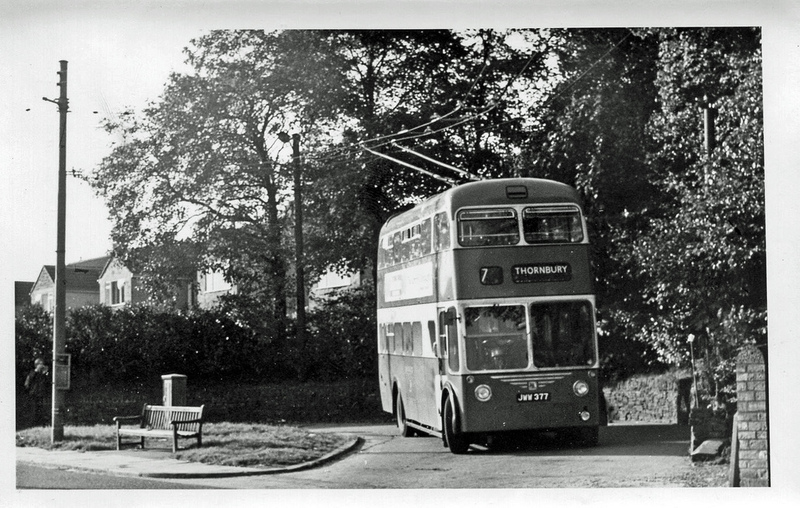 In 1994 the company expanded in to new premises and commenced a programme of development that resulted in a range of single and double deck buses which was the primary source of income for the company. 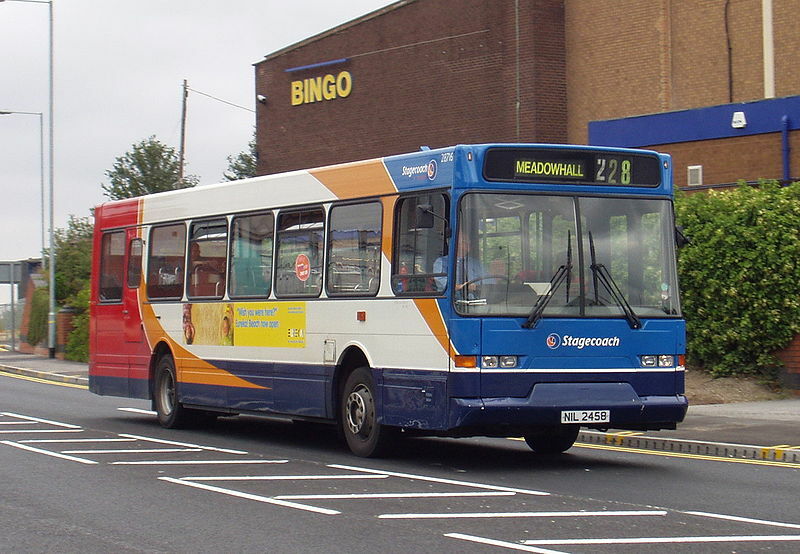 On August 17, 2007 the company went into administration, but was saved and bought out by the Darwen Group the next day. 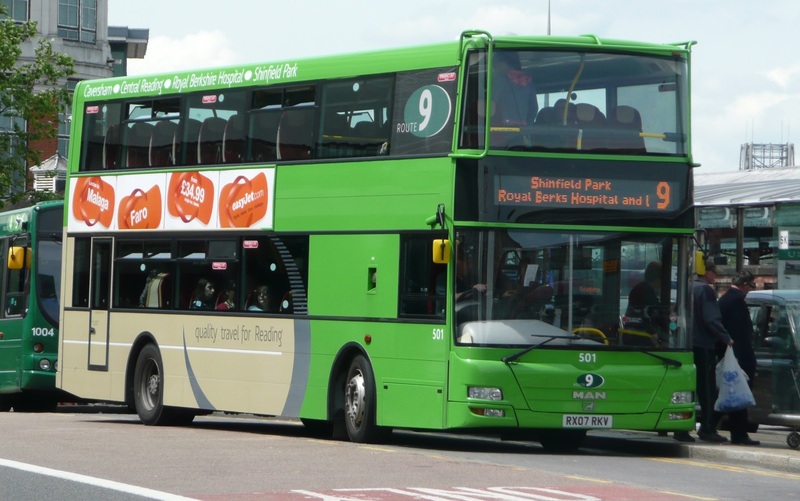 It is thought that the problem was a direct consequence of changing to the Euro 4 chassis, with a shortage of Scania chassis being a factor. 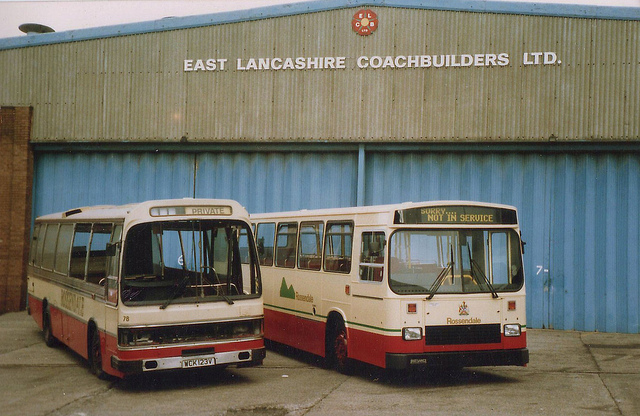 After the purchase, the Darwen Group rebranded the company as Darwen East Lancs. 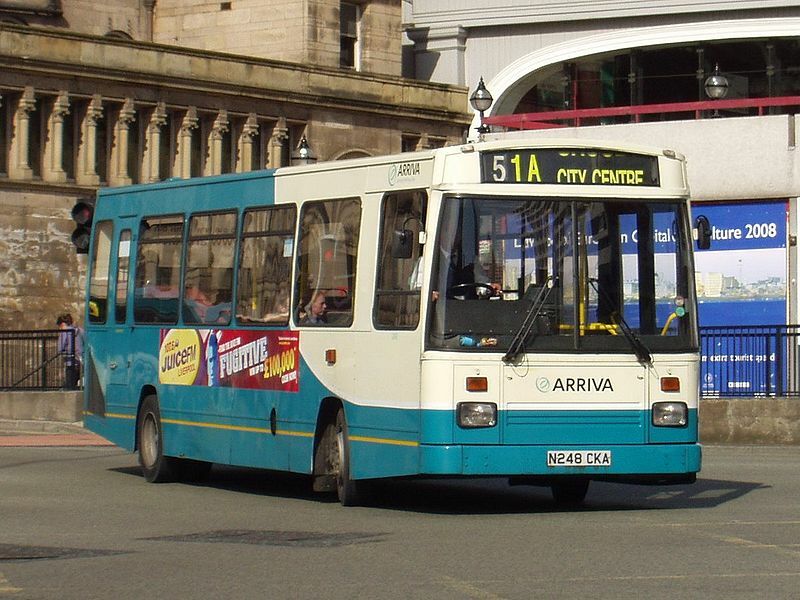 In 2008 Jamesstan Investments, an investment company controlled by the Darwen Group purchased another bus manufacturer Optare. 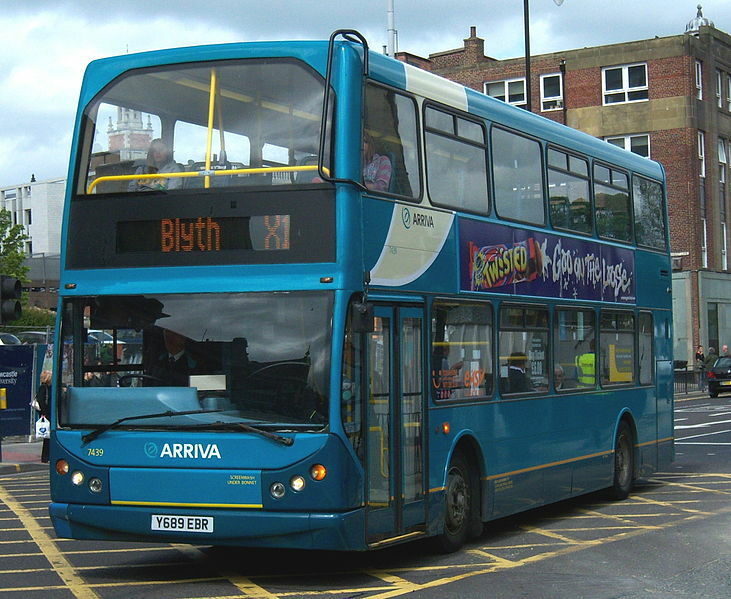 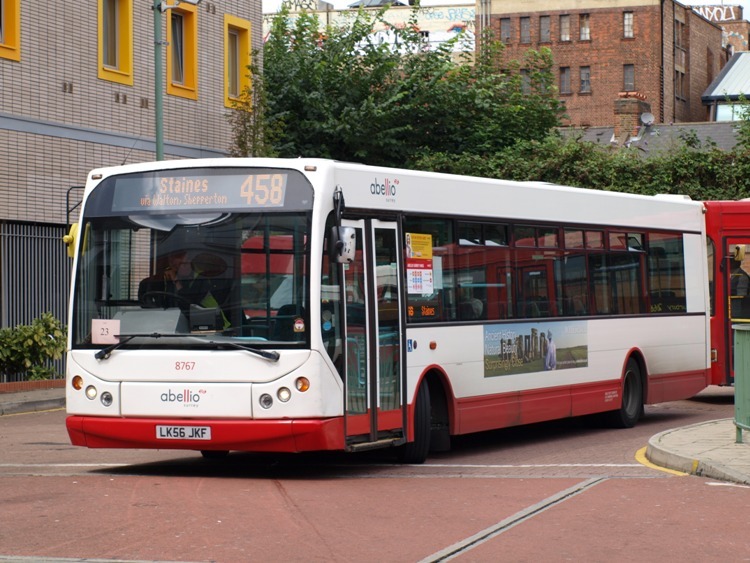 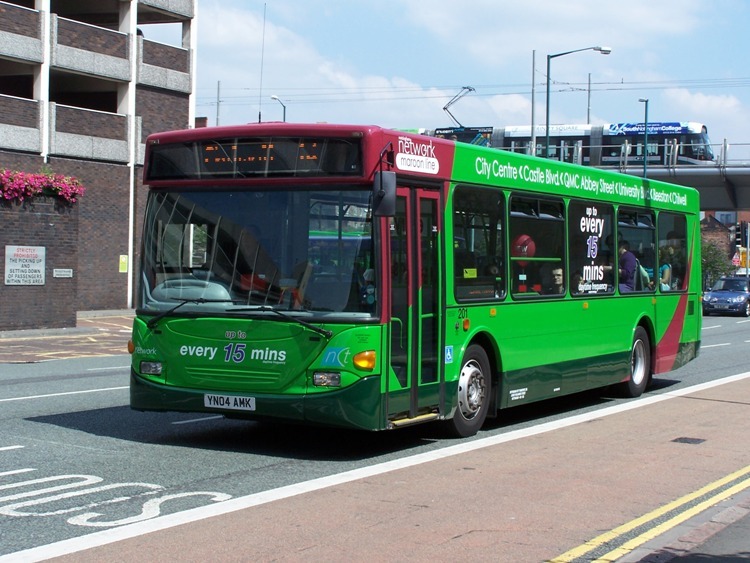 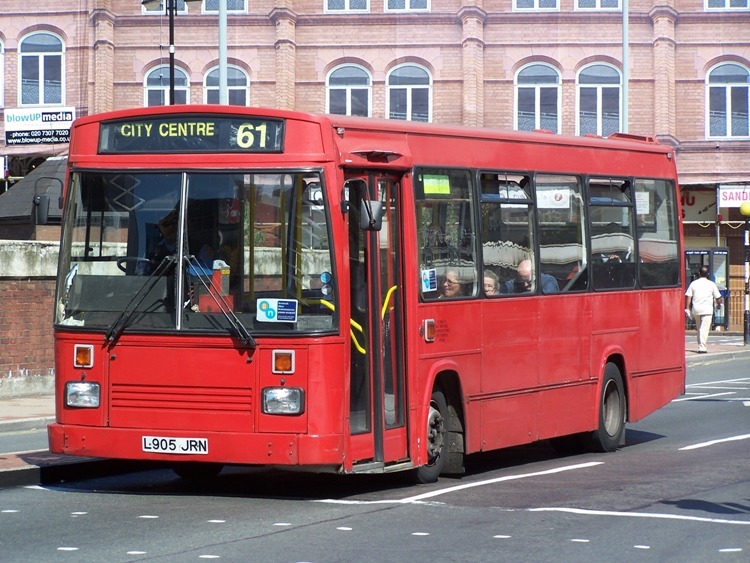 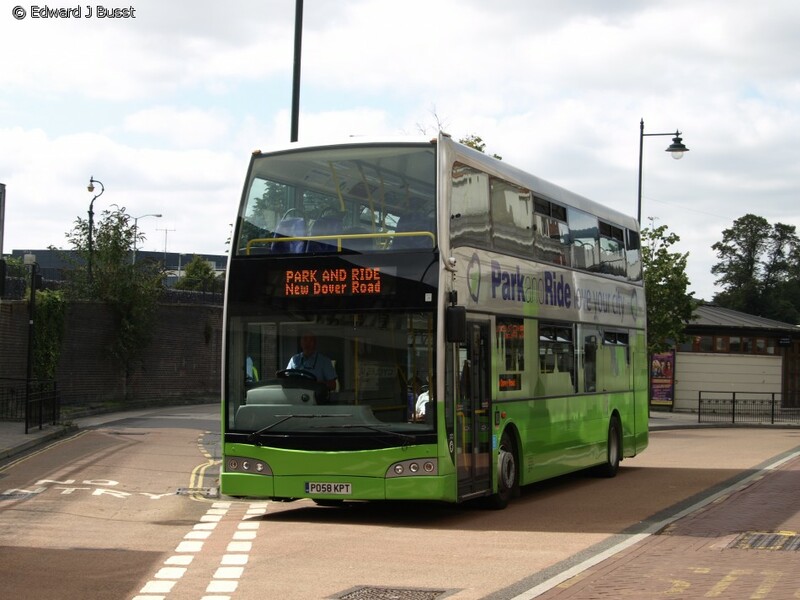 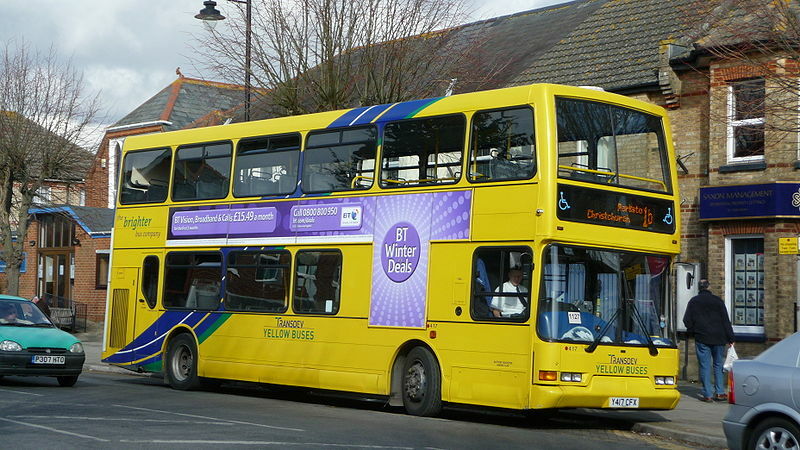 Later, in June 2008, a reverse takeover was performed, with the Darwen name disappearing in favour of Optare’s. 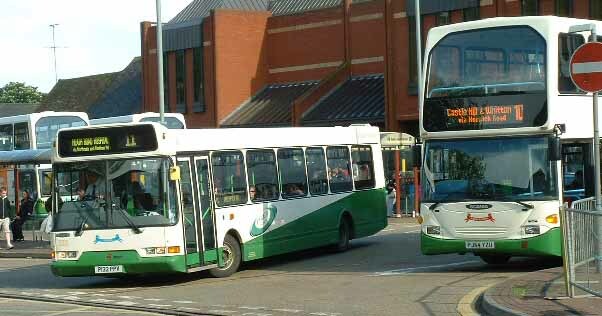 This brings East Lancs name into the Optare Group, now providing an expanded range of vehicles. 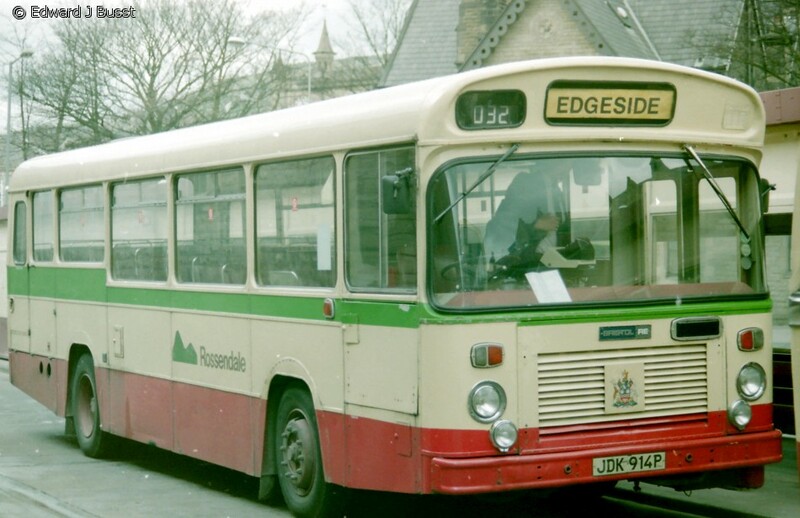 East Lancs EL2000 body on Dennis Dart. 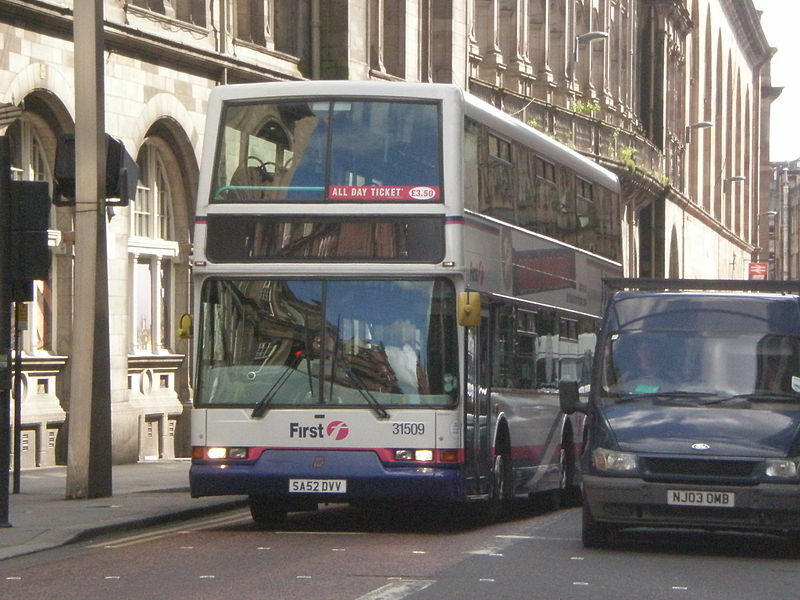 Flyte for longer step-entrance and high-floor buses. 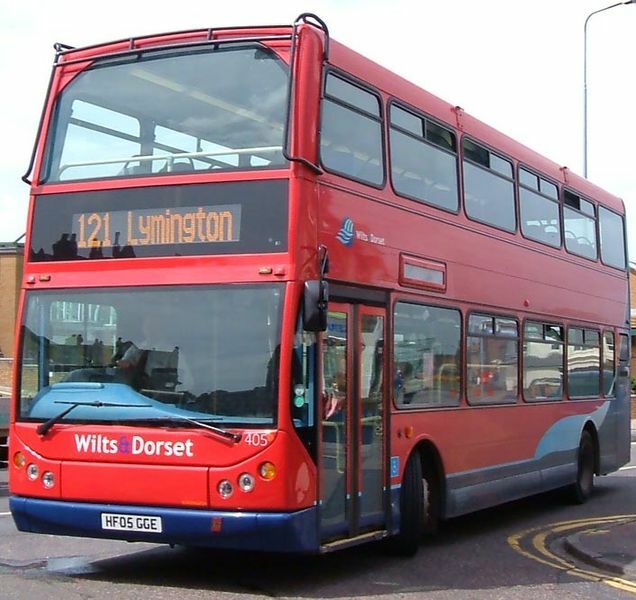 An Myllennium Vyking owned by Wilts & Dorset. 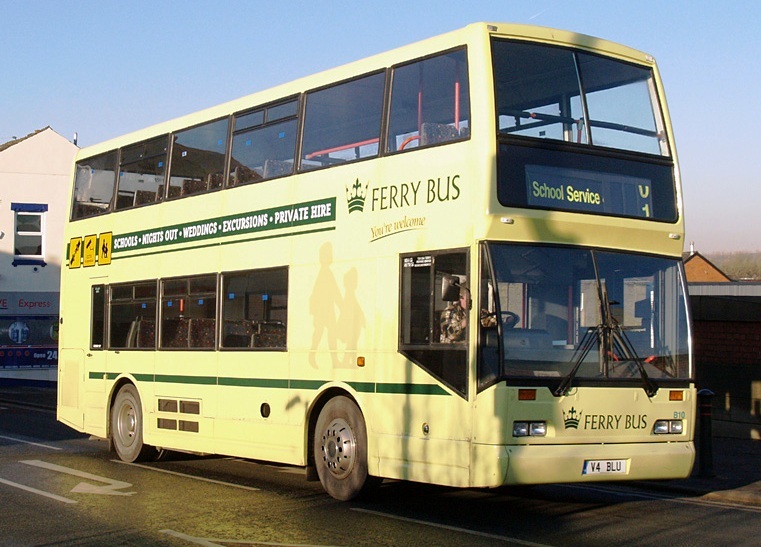 In 2001, a new body was launched. 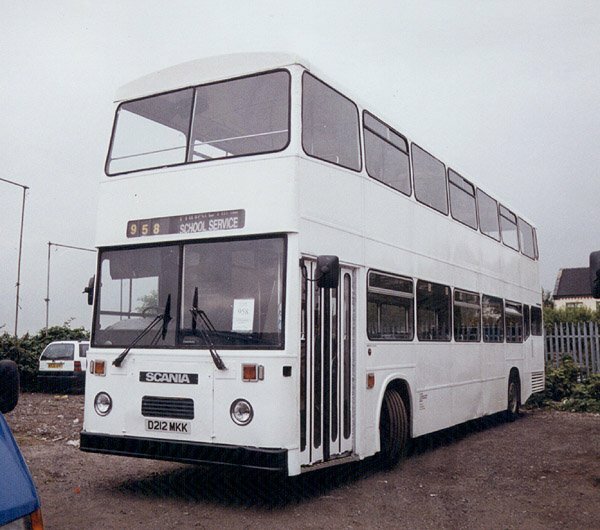 Again, the product didn’t have a definite name, it varied according to the chassis. 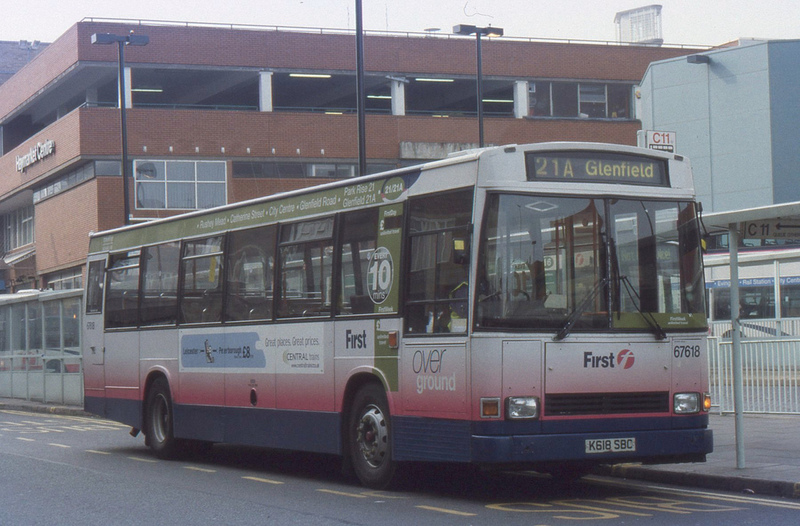 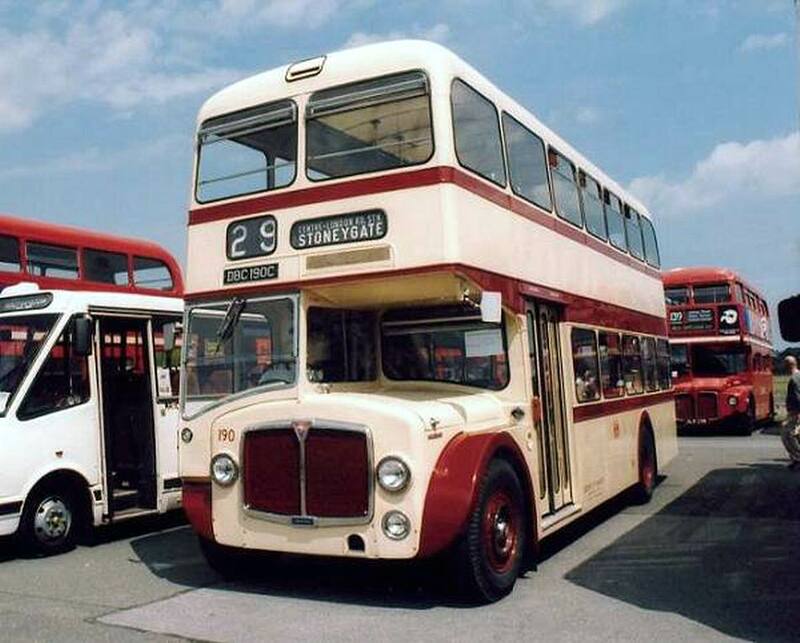 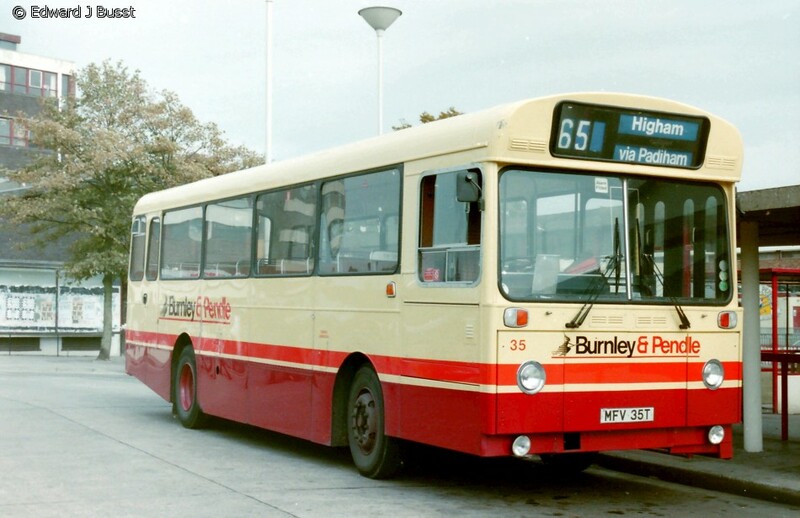 The generation until East Lancs went into administration continues the tradition of misspelt names but each has a different name and does not vary on the chassis. 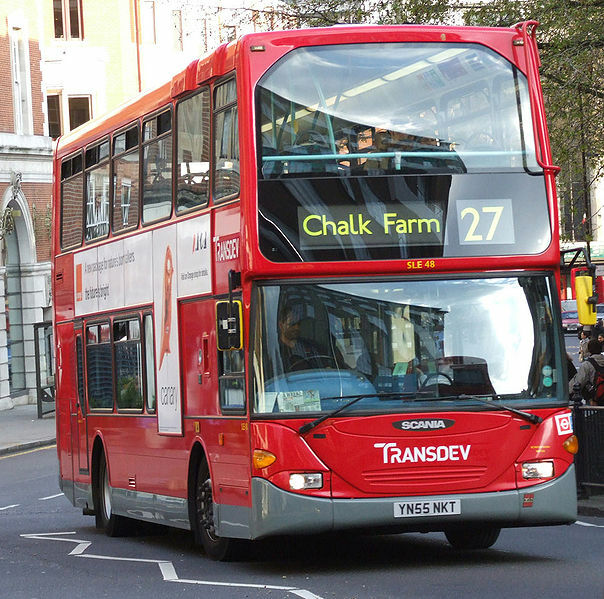 A Scania OmniDekka in London, run by Transdev London. 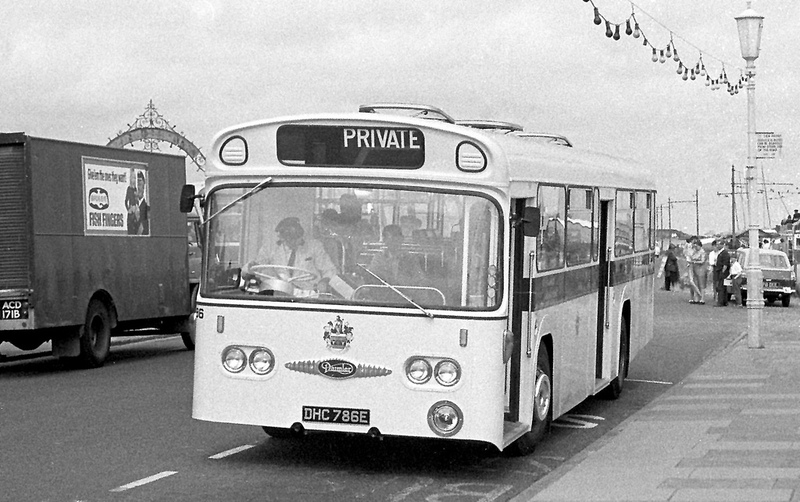 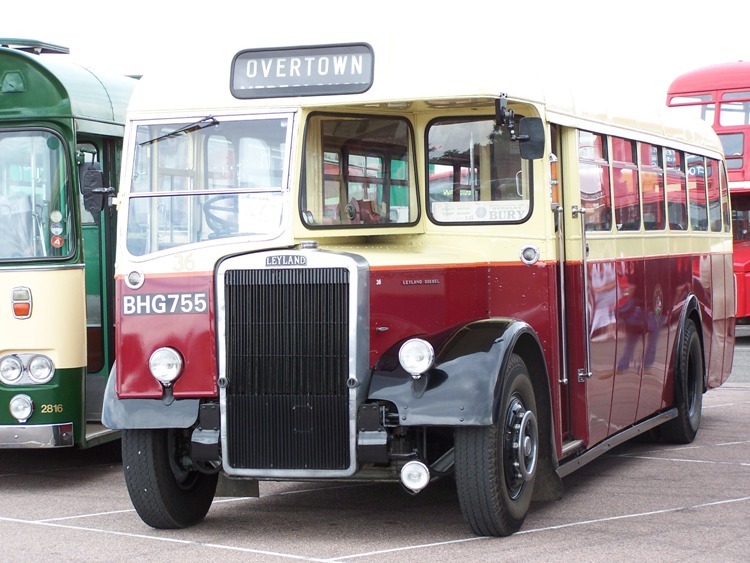 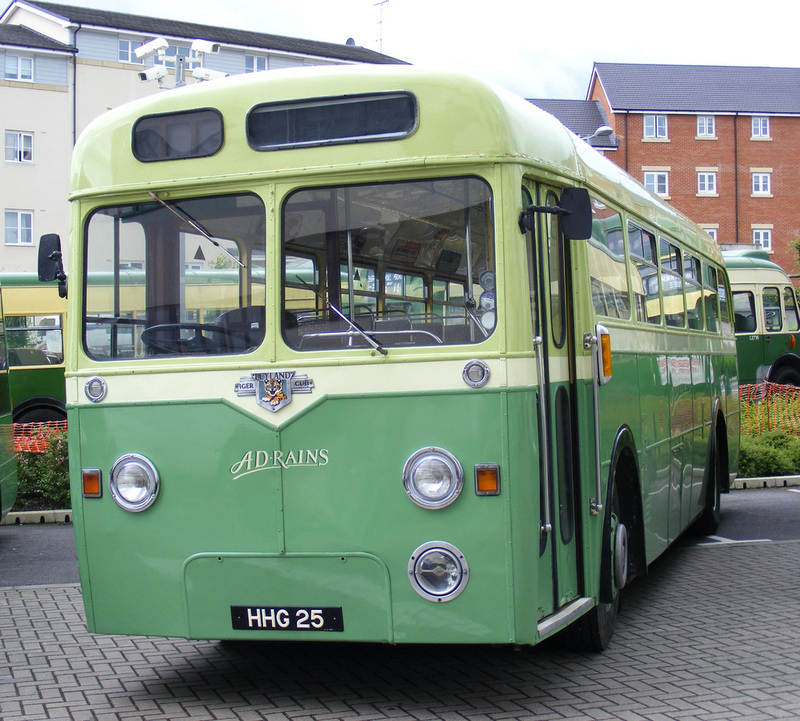 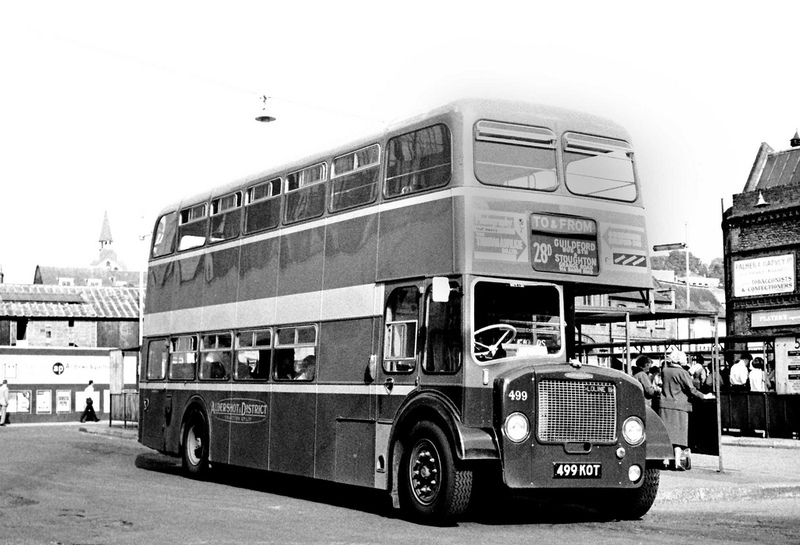 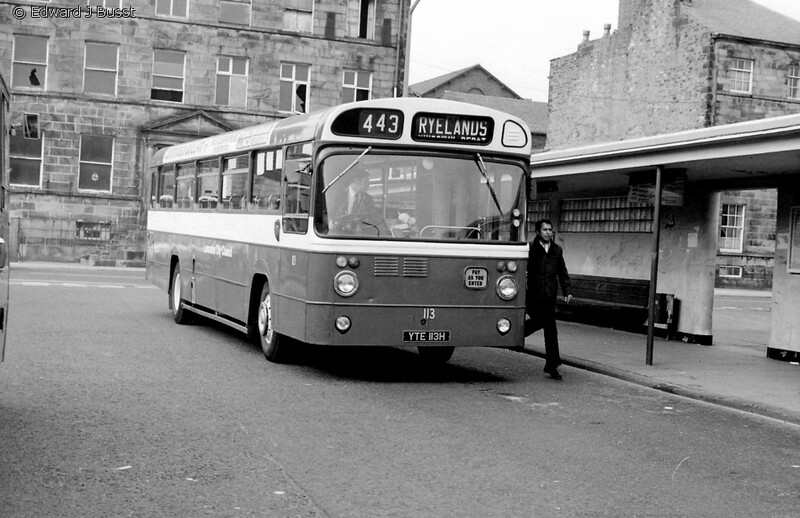 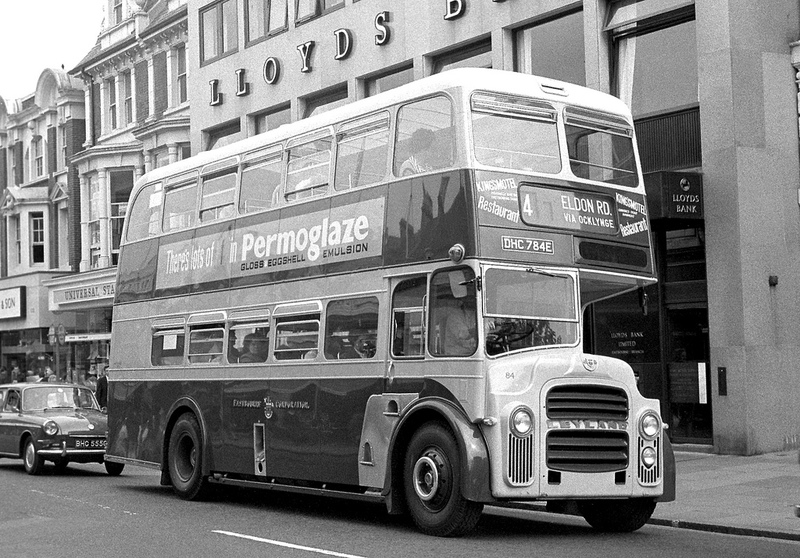 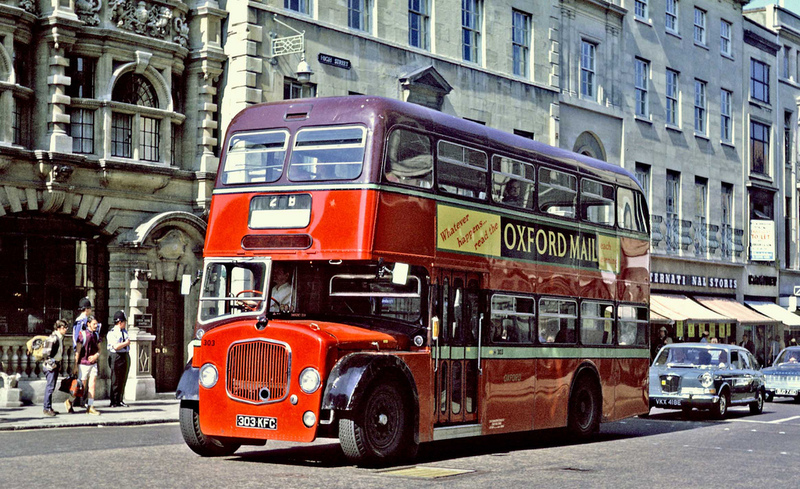 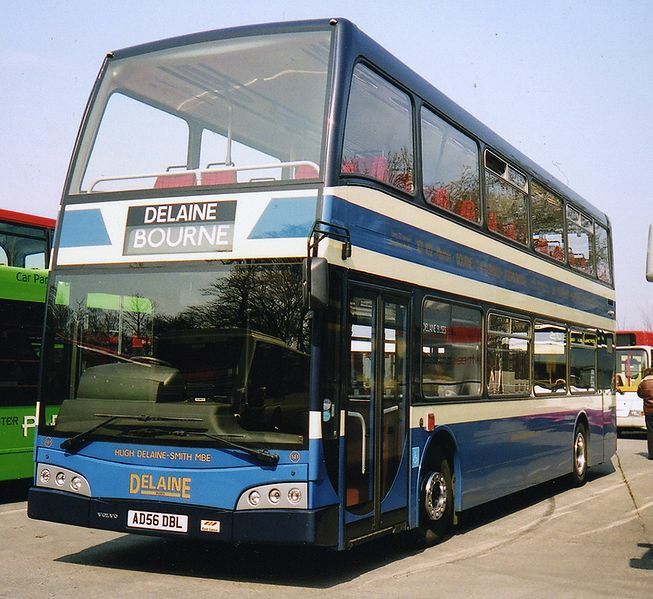 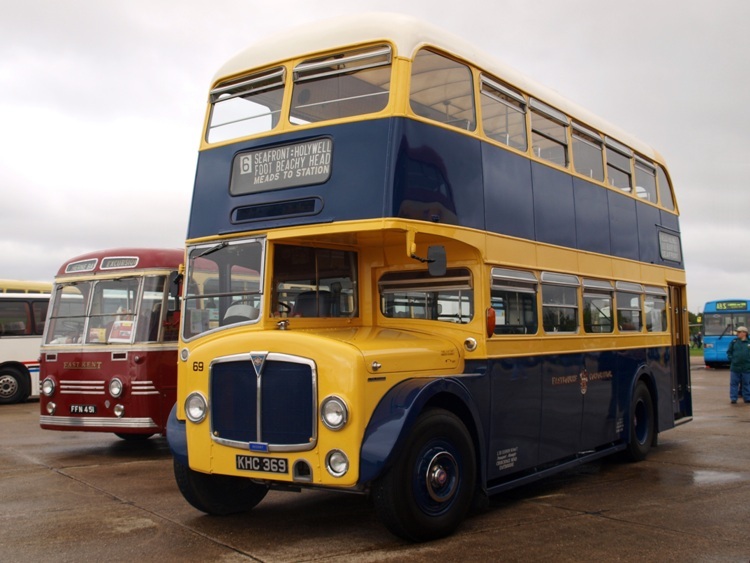 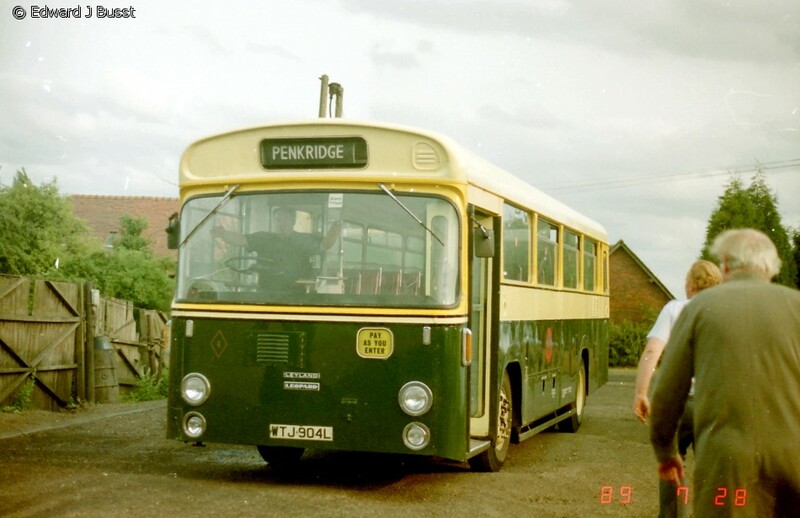 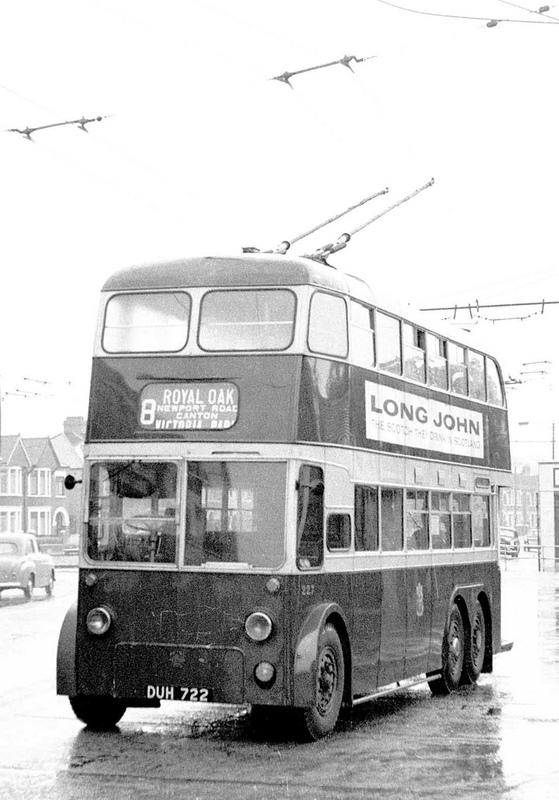 The first Olympus built, run by Delaine Buses. 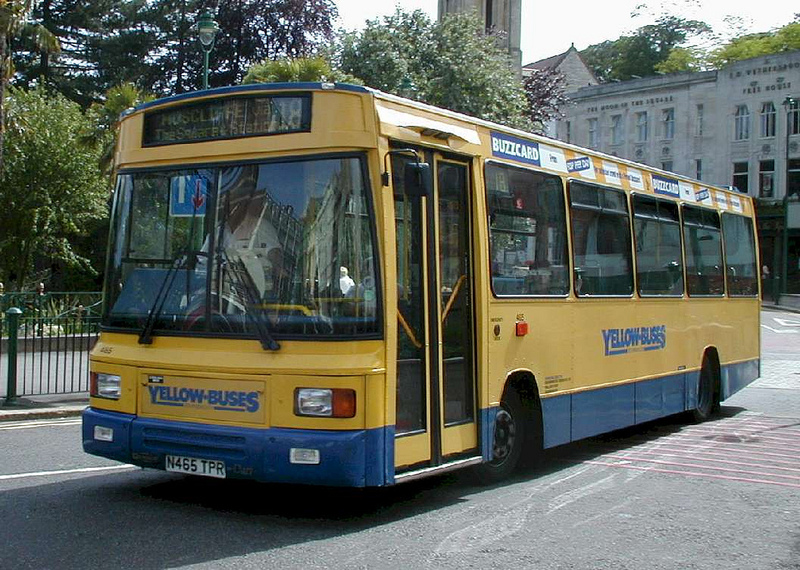 This series are the last surviving variants of the myllennium series. 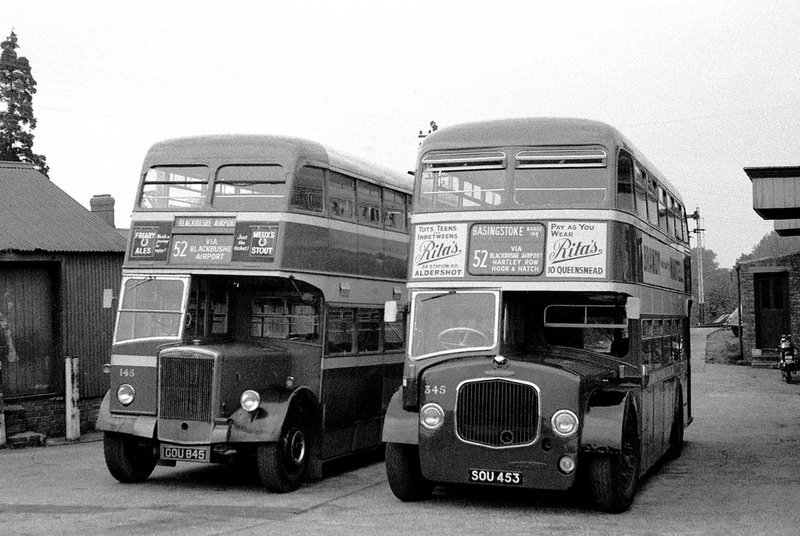 They are now part of their own series. 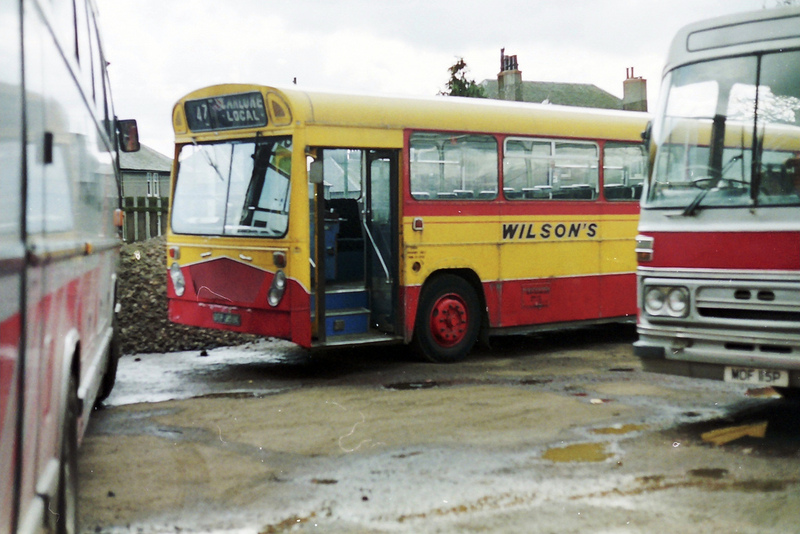 These have the standard body but with Scania own front styling. 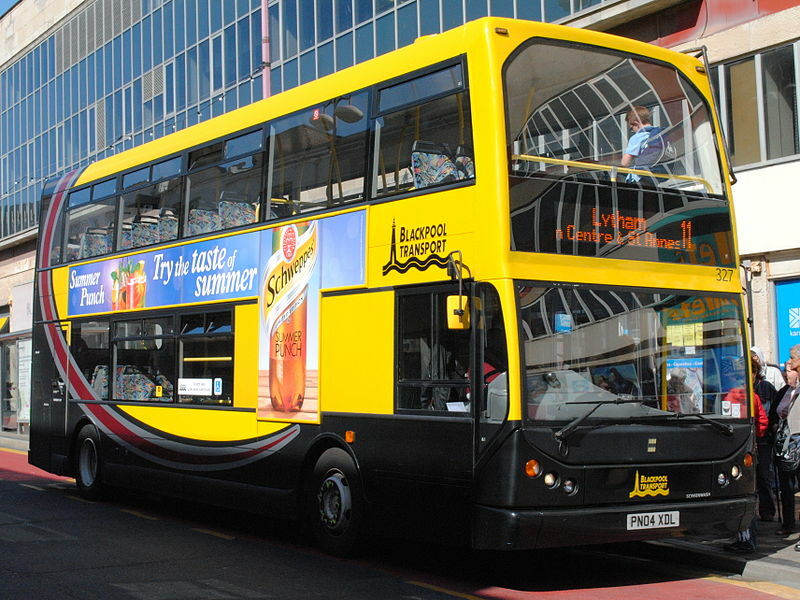 The Esteem was launched early in 2006. 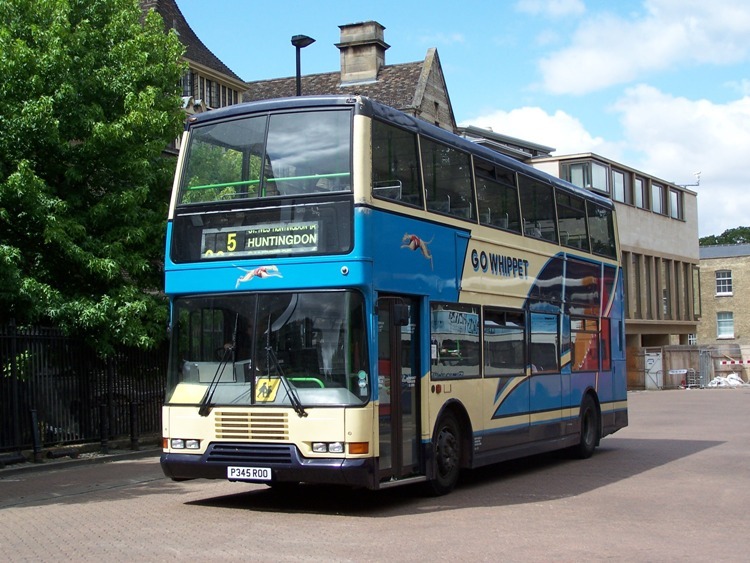 The Olympus was launched at the Euro Bus Expo 2006 and its lower dash is the same as the Esteem. 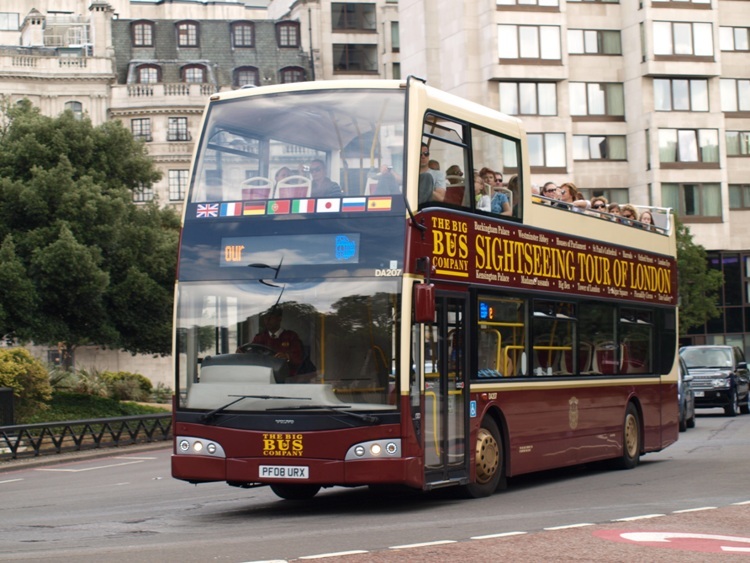 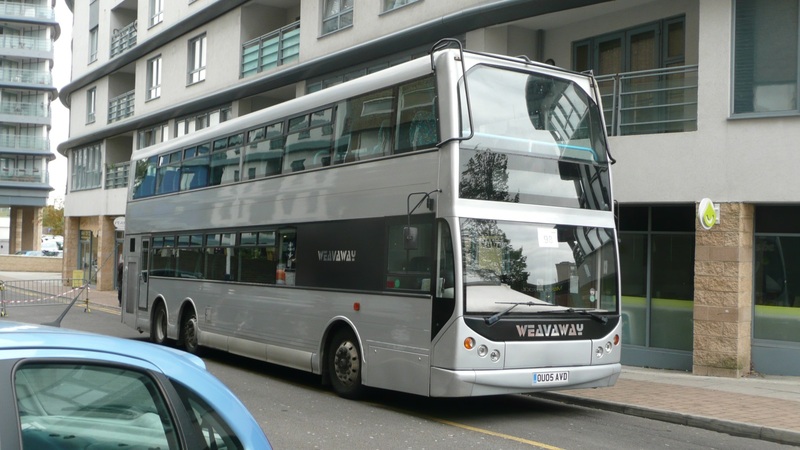 The Visionaire launched in summer 2007 with Arriva’s Original London Sightseeing Tour. 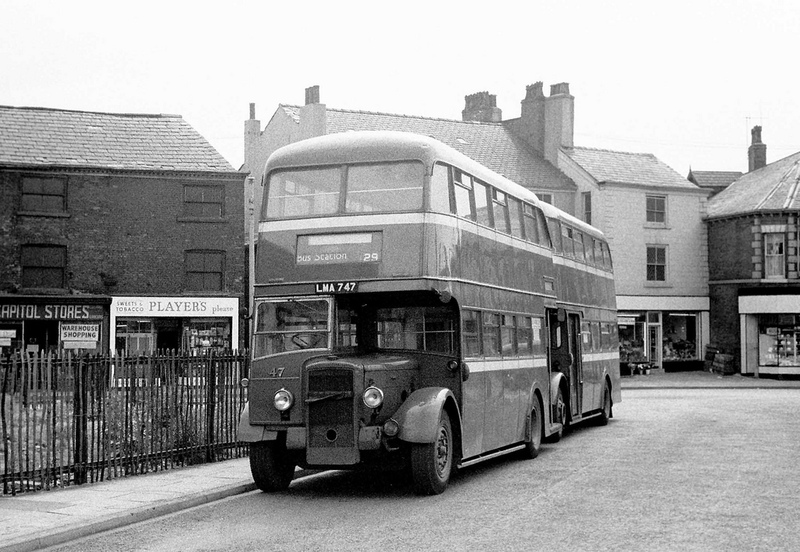 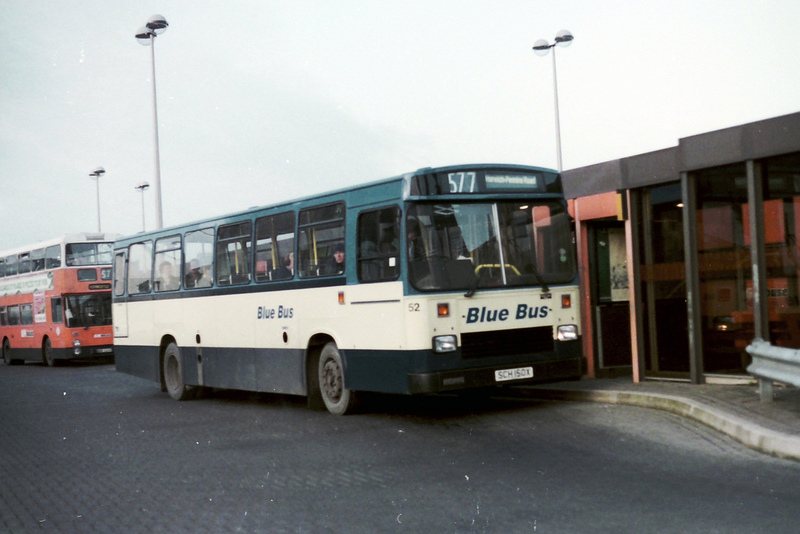 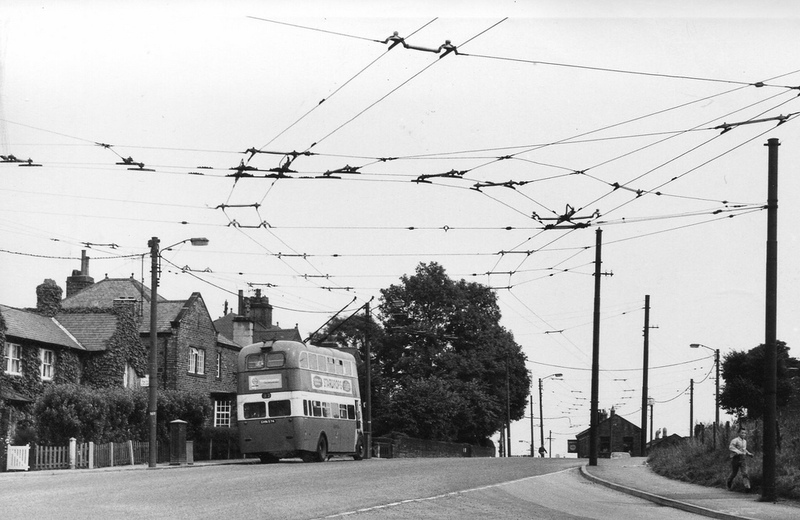 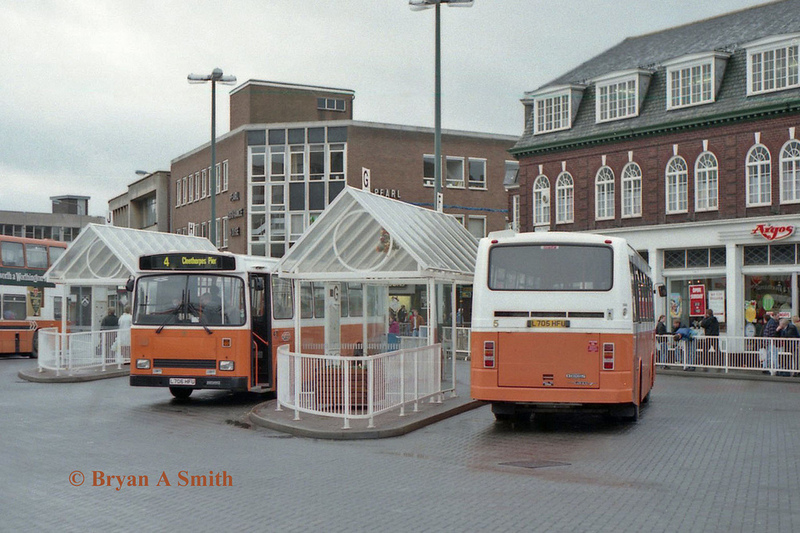 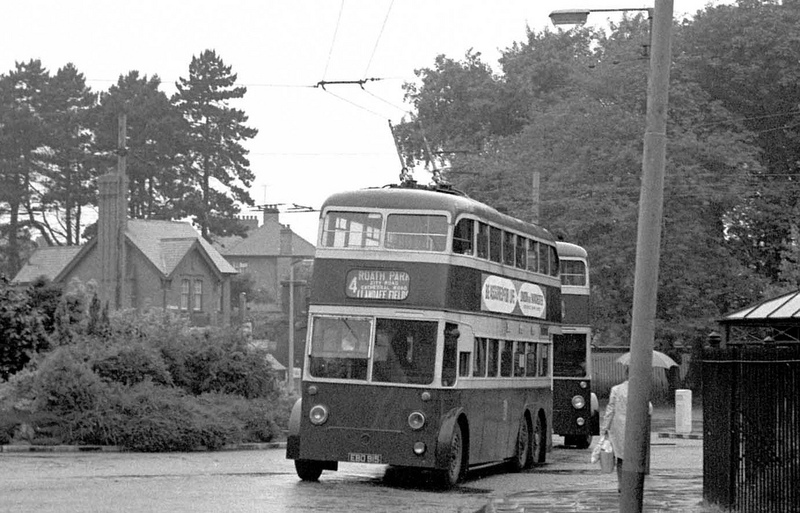 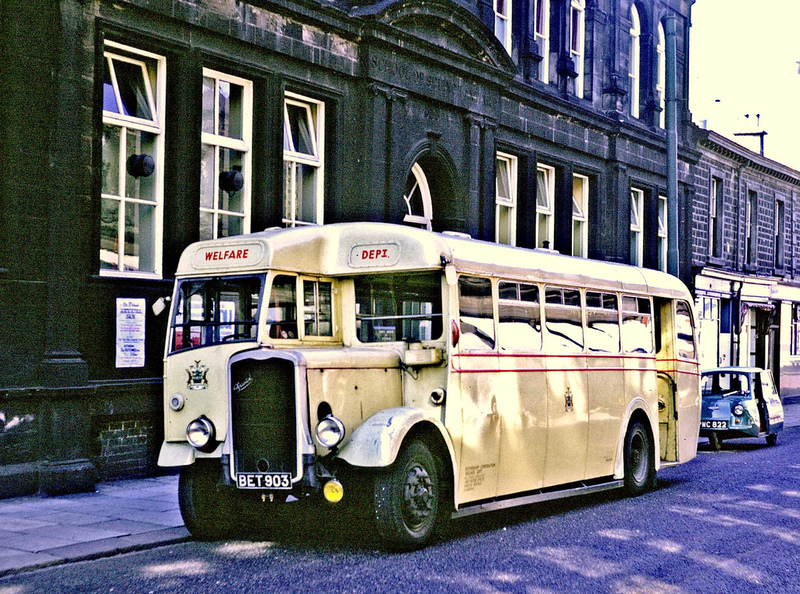 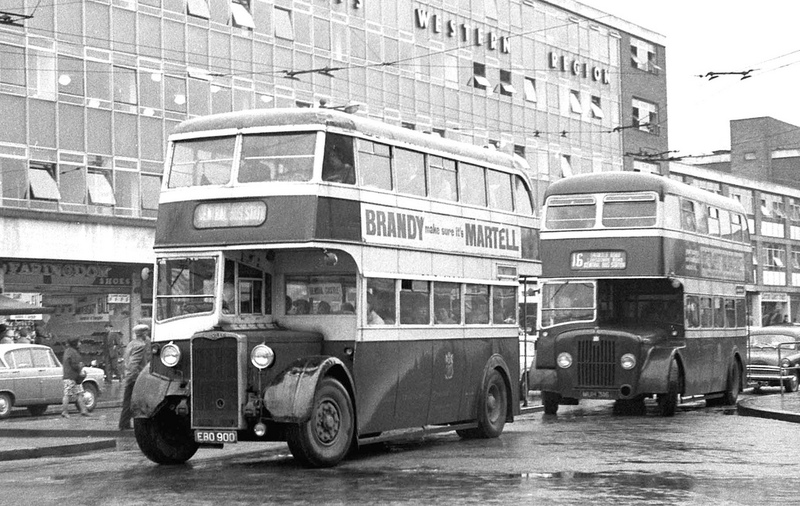 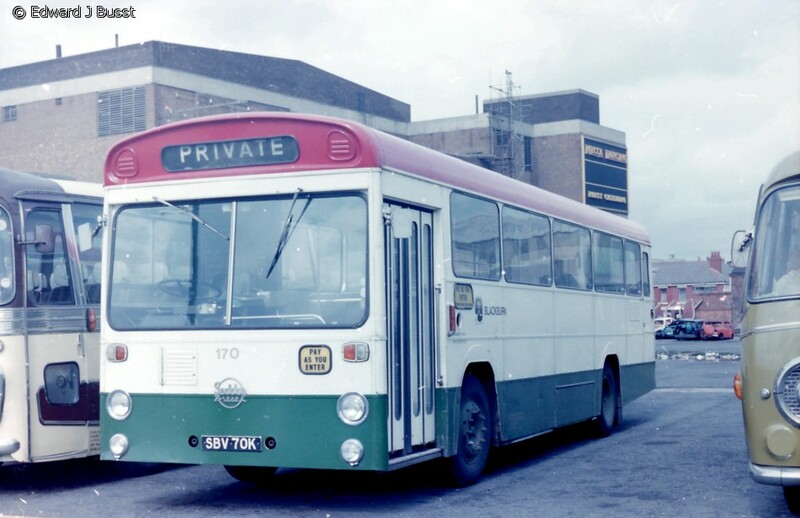 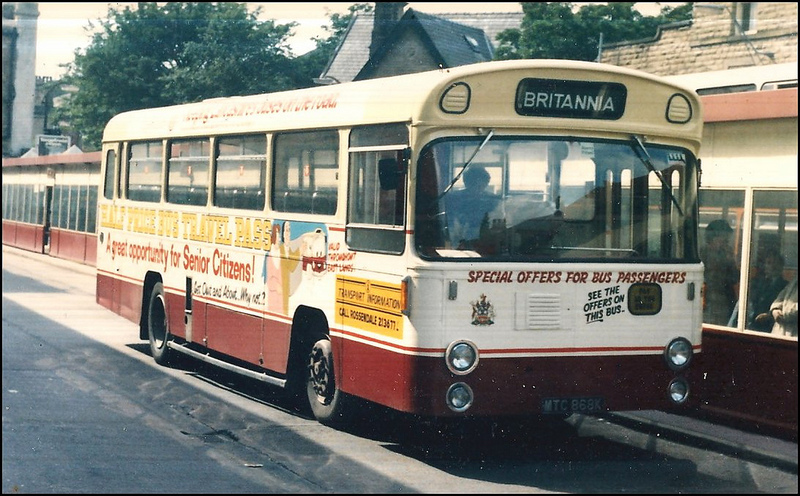 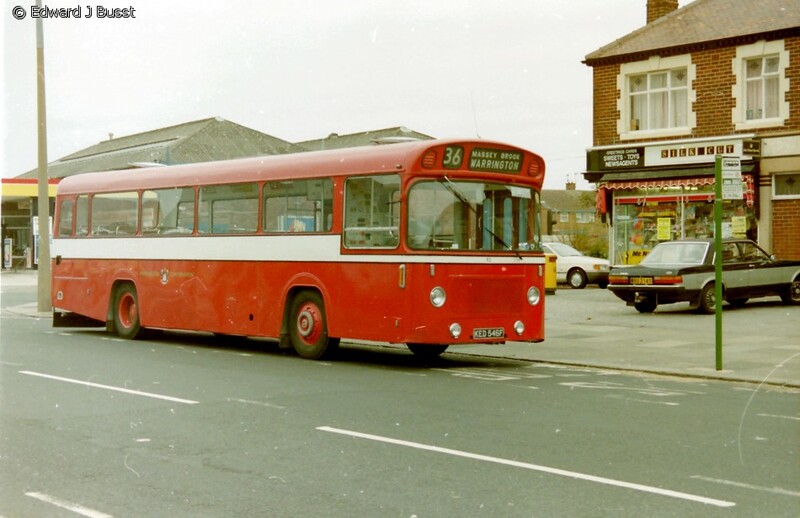 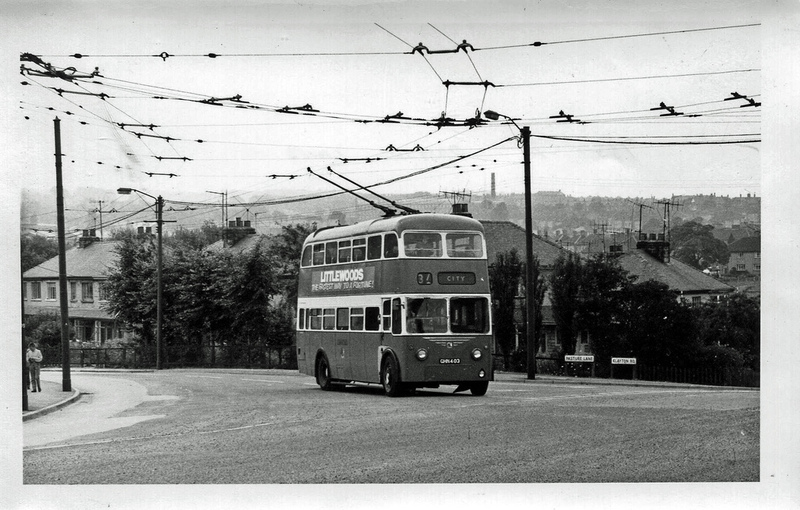 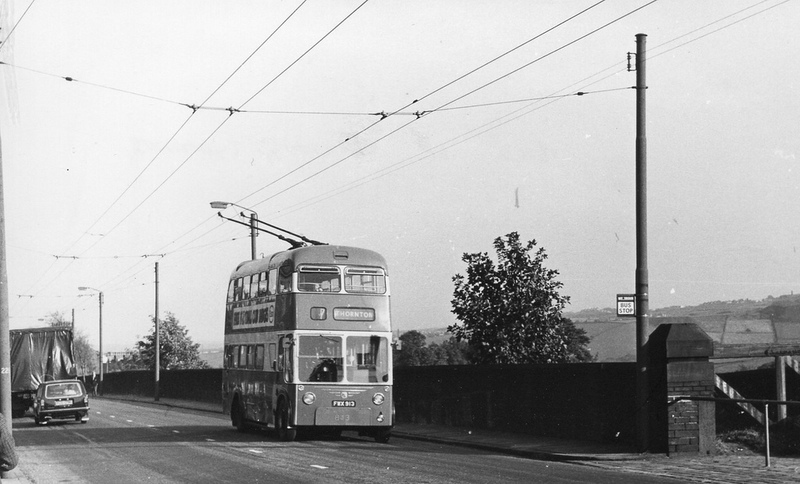 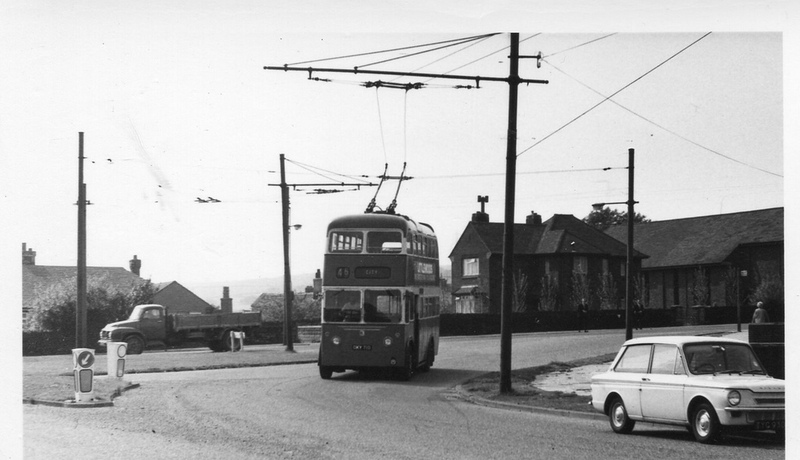 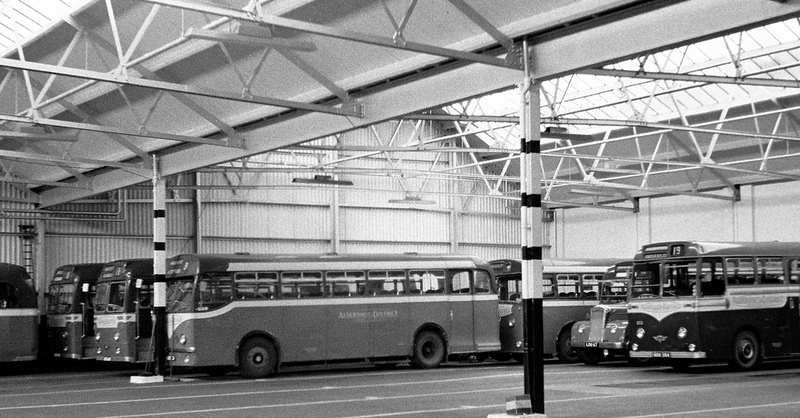 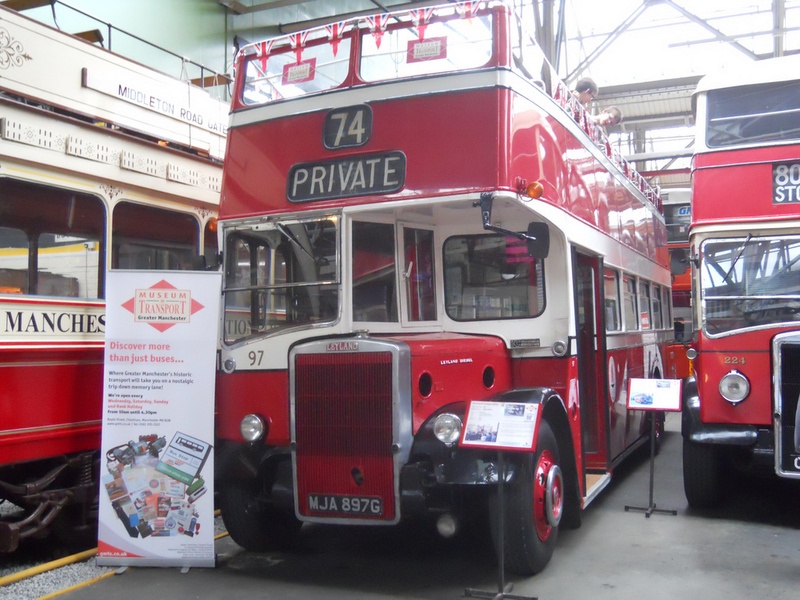 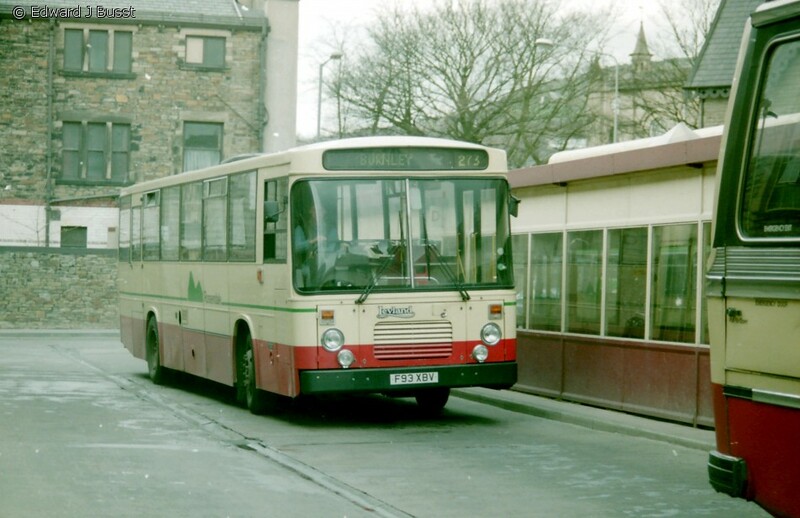 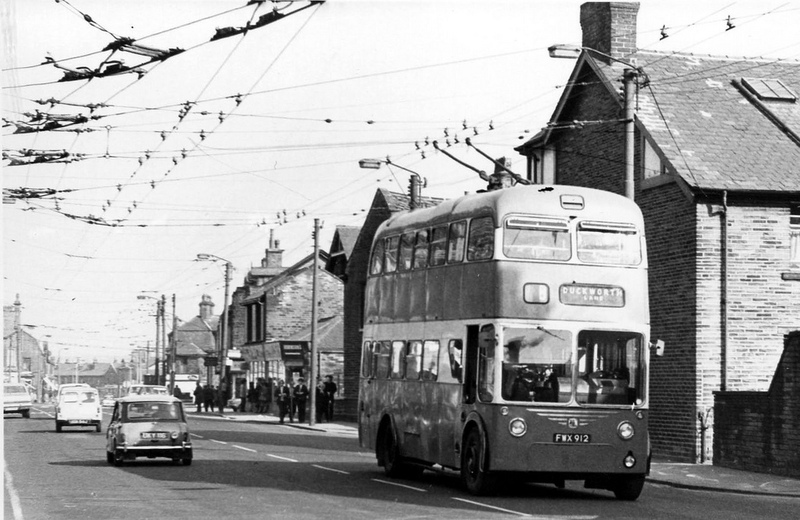 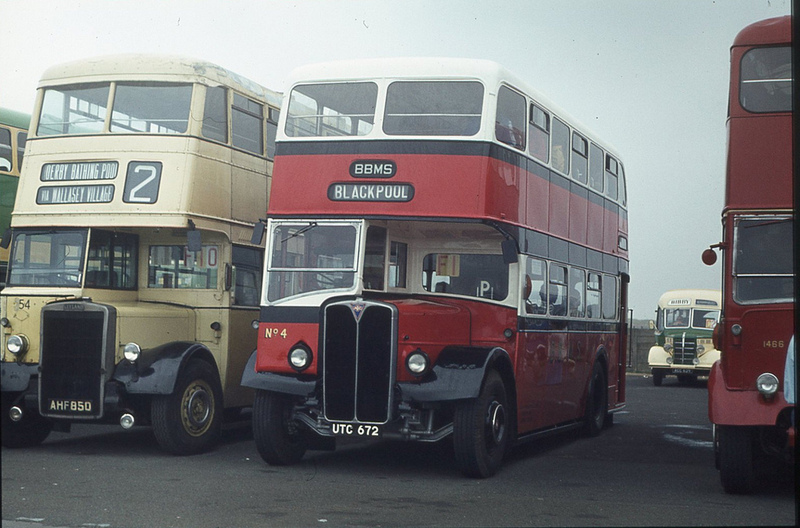 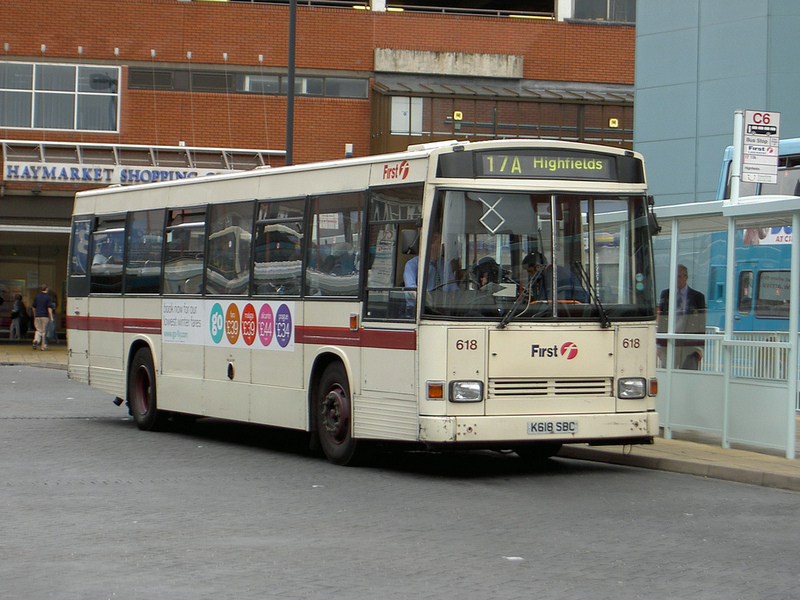 Production of these buses continued under Darwen ownership. 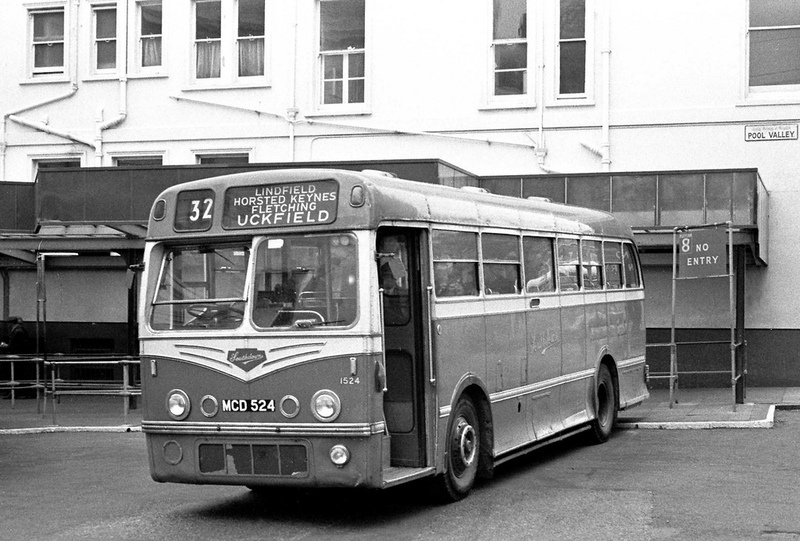 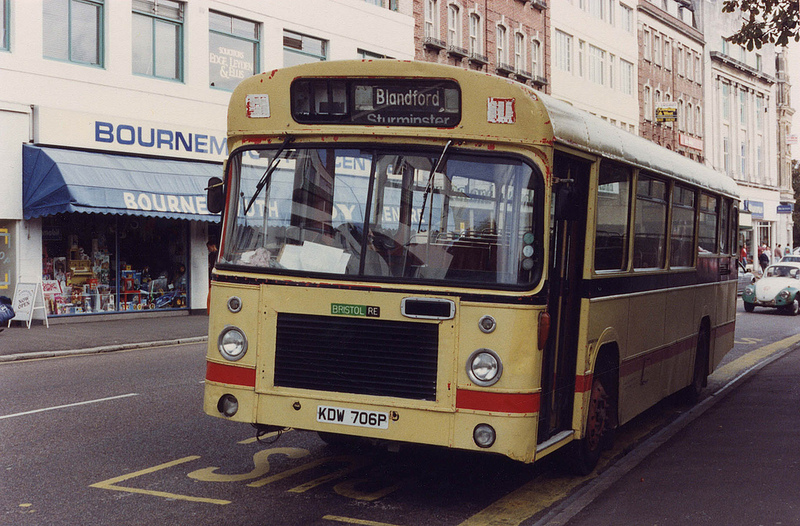 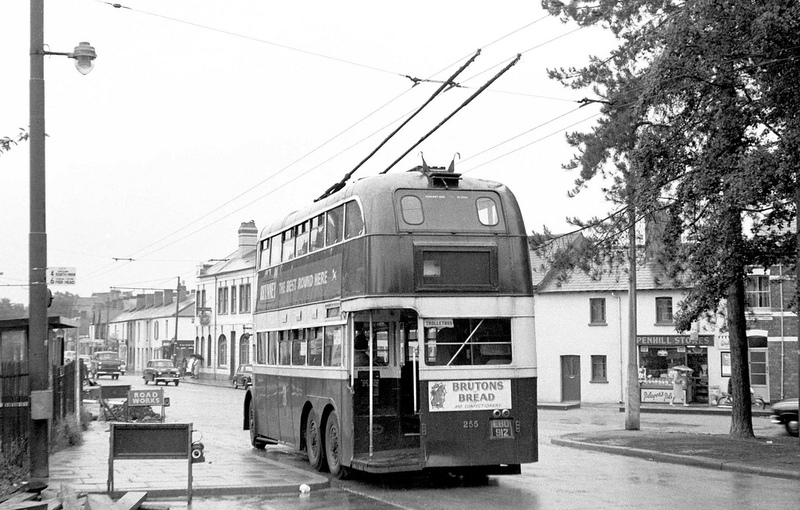 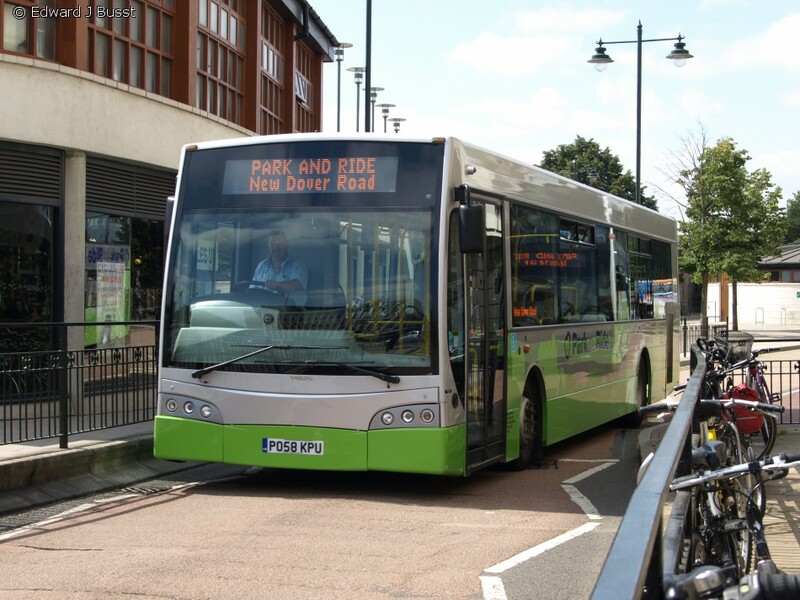 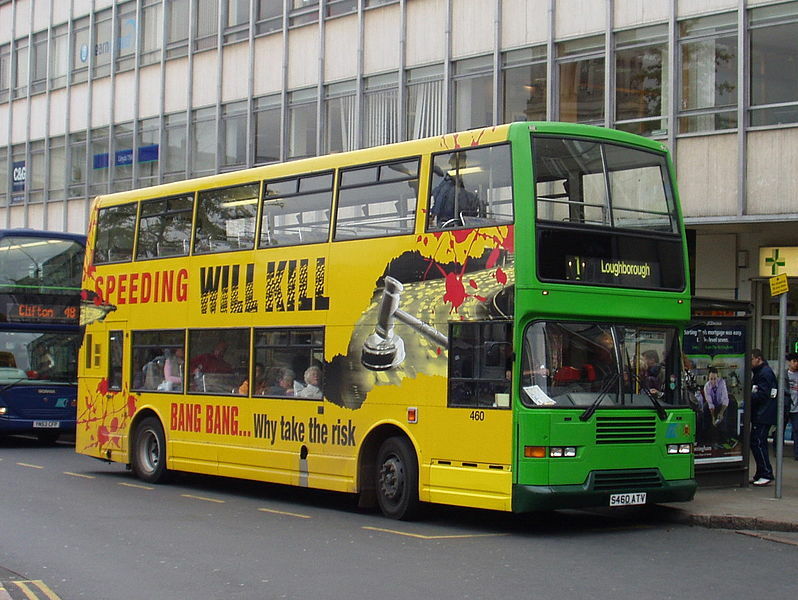 The only Kinetec+ built, run by Reading Buses. 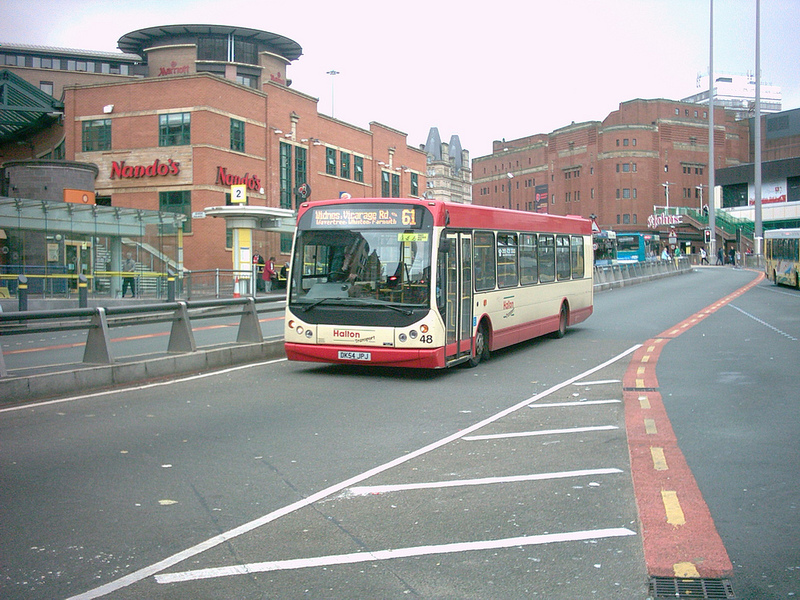 The Kinetec series was launched at the Euro Bus Expo 2006. 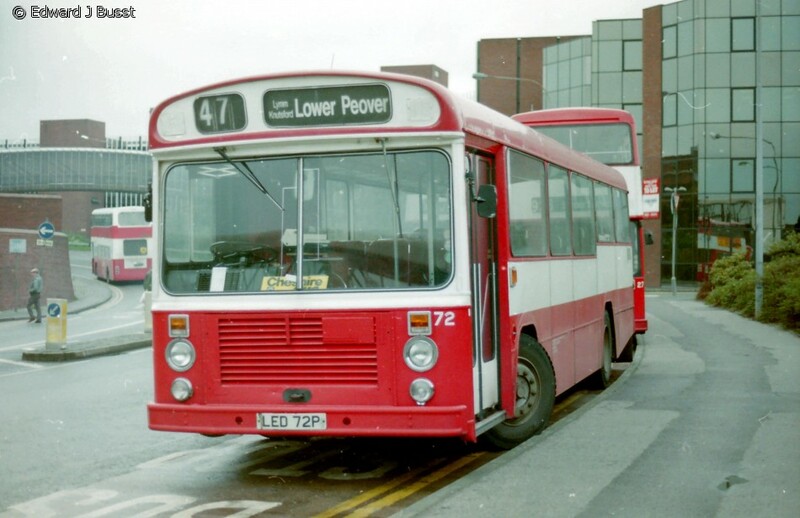 They are designed as low-floor bodies for MAN chassis. 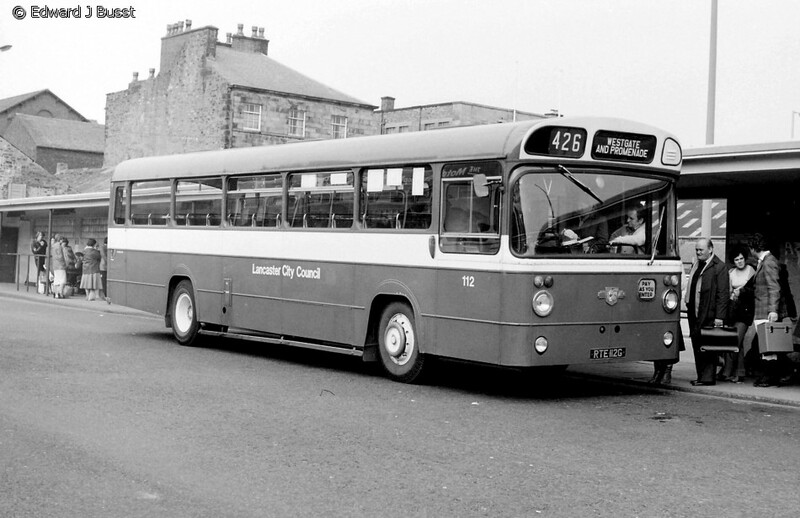 They have the Esteem/Olympus body but with MAN’s own Lion’s City design front and rear. 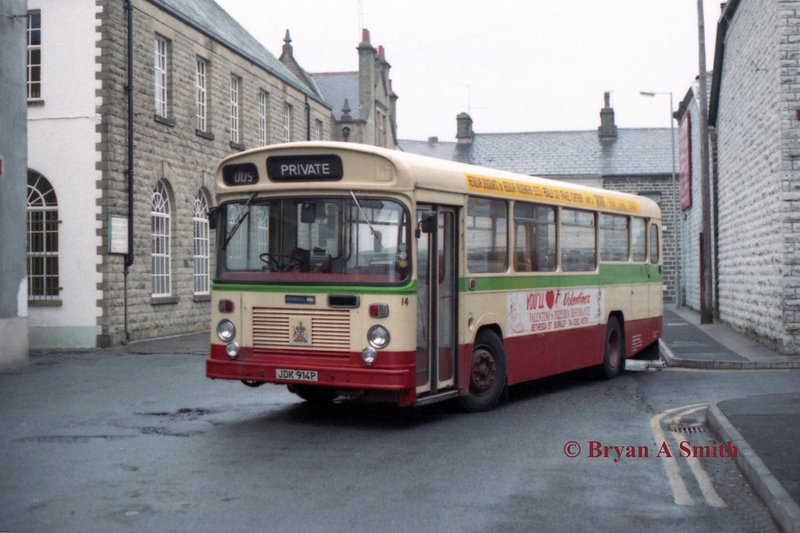 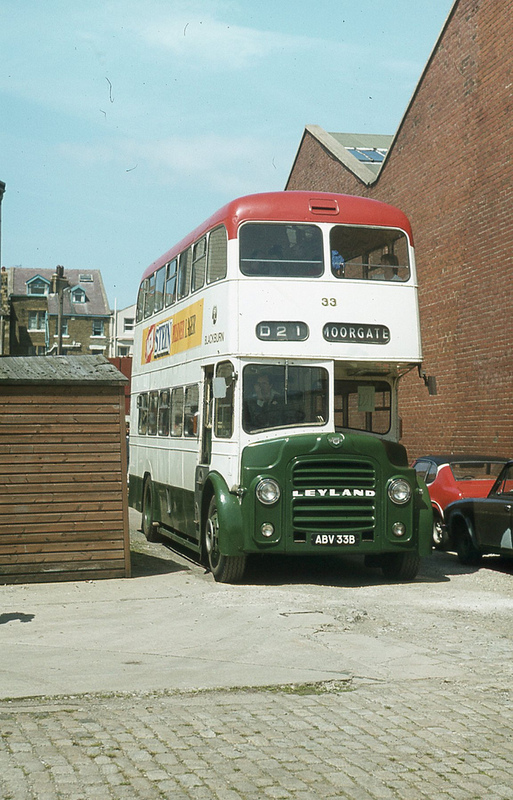 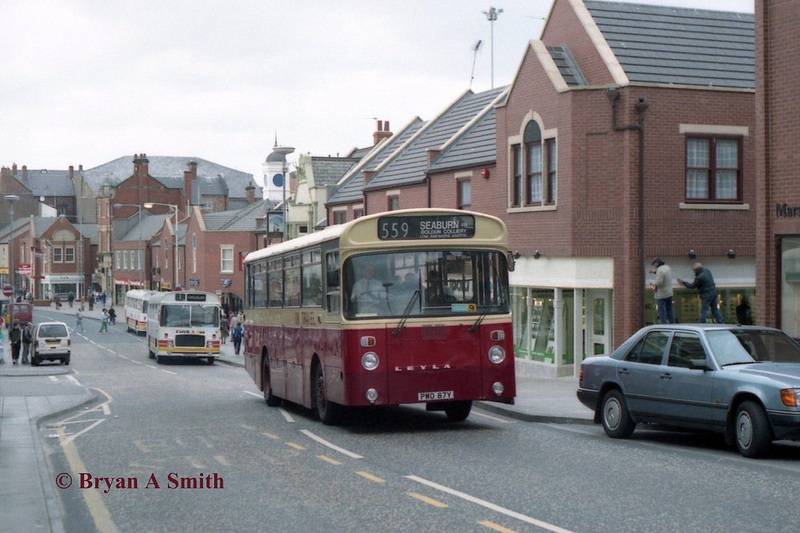 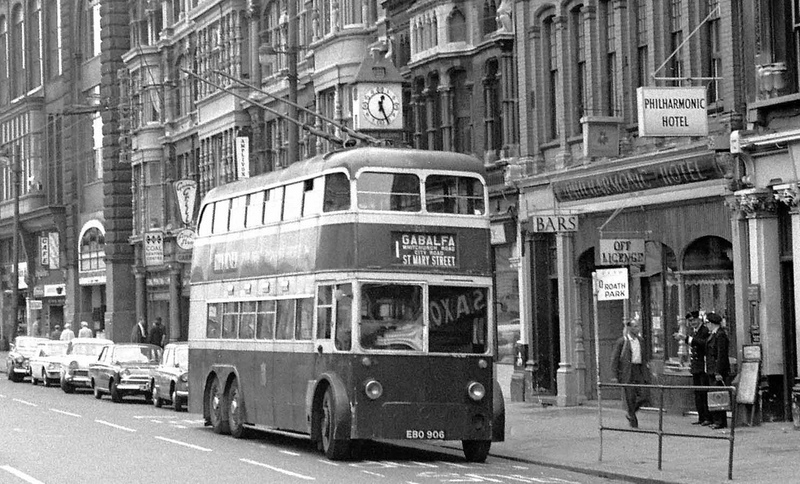 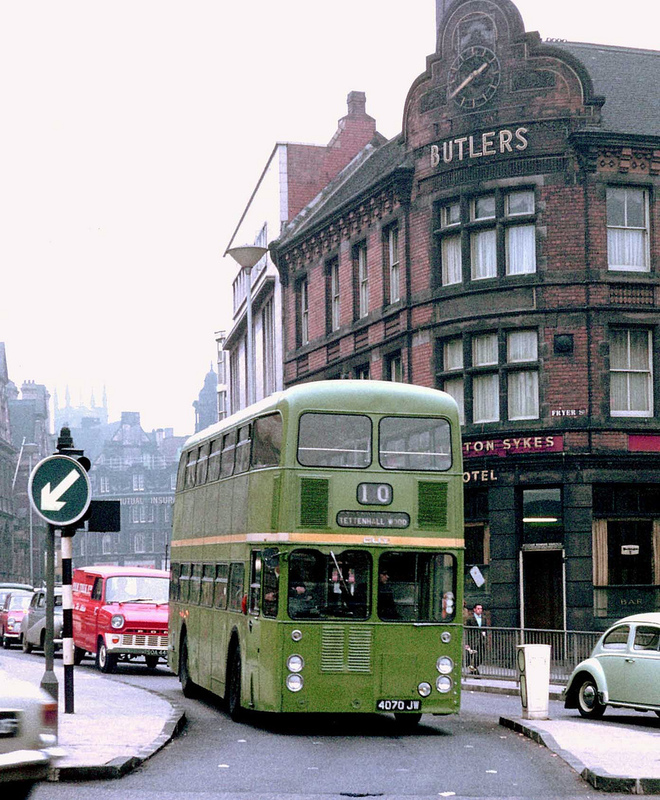 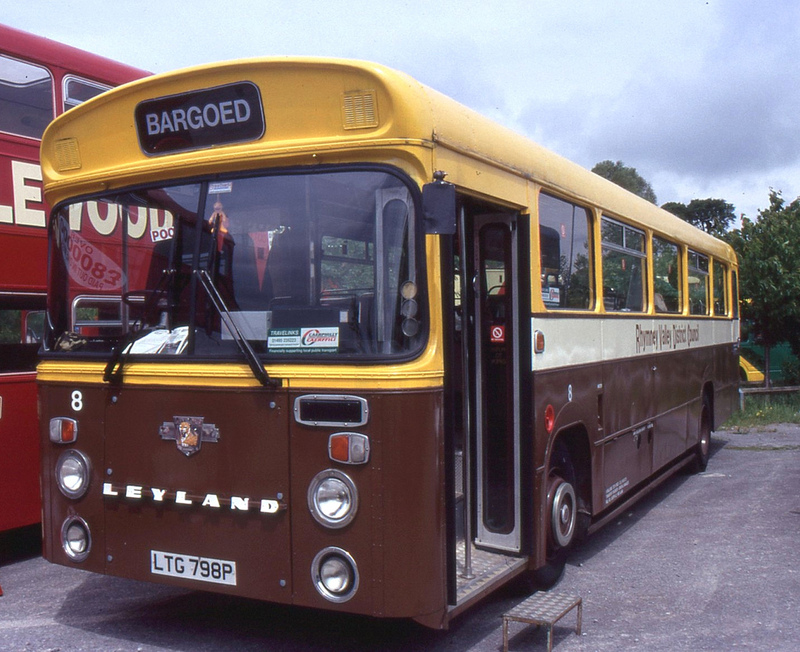 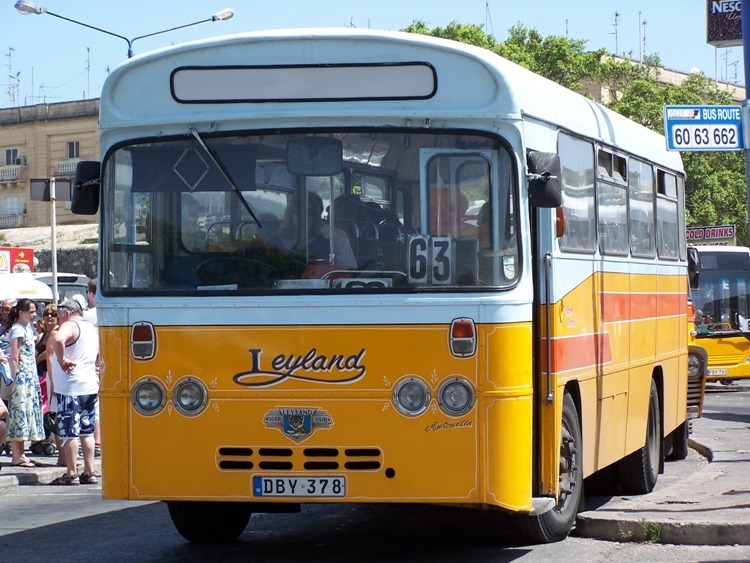 East Lancs bodied Leyland Leopard with OK Travel Bryan A Smith. 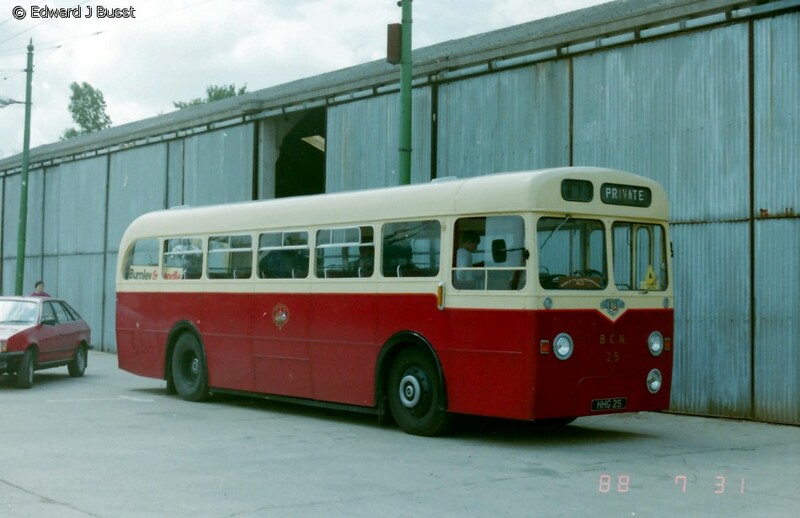 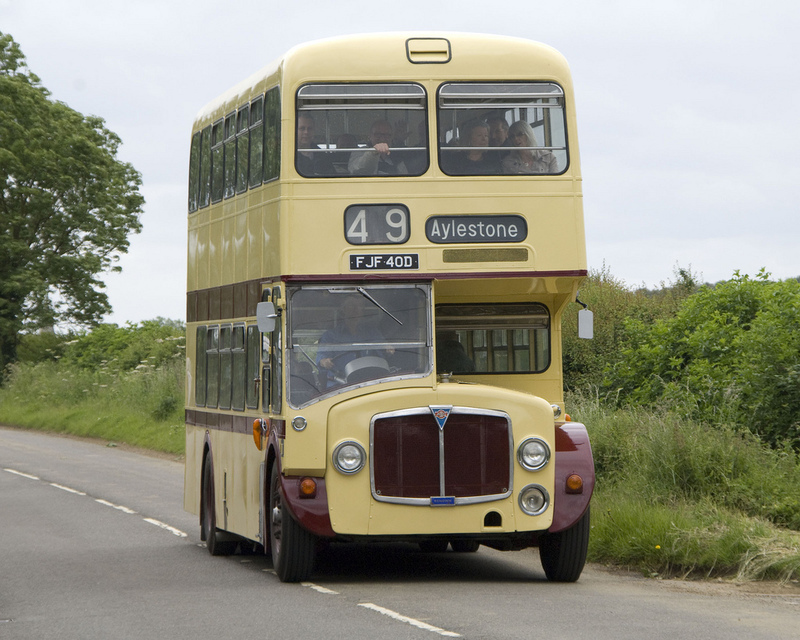 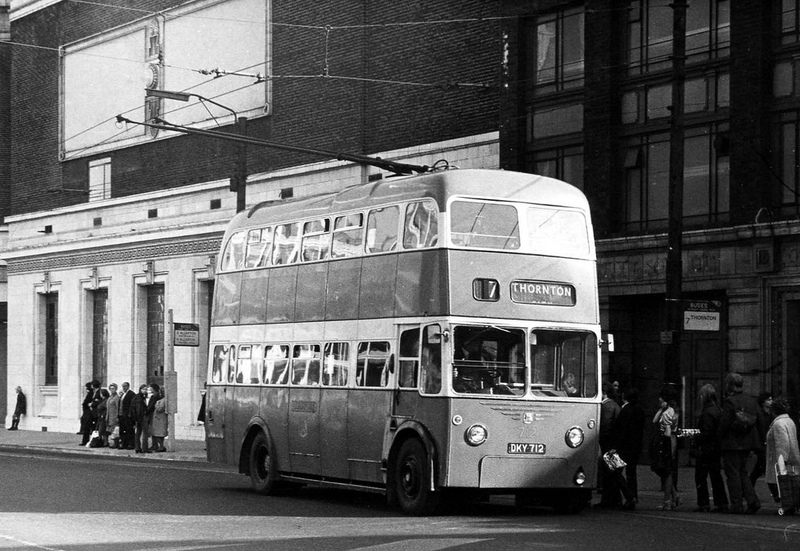 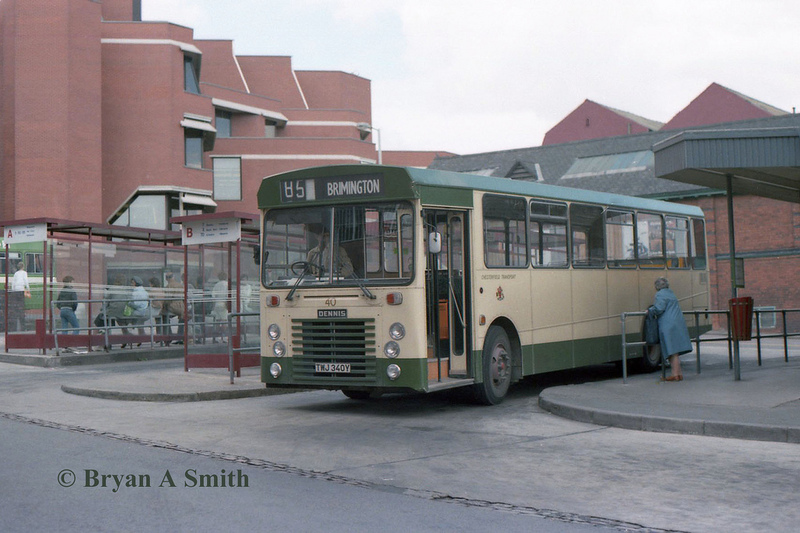 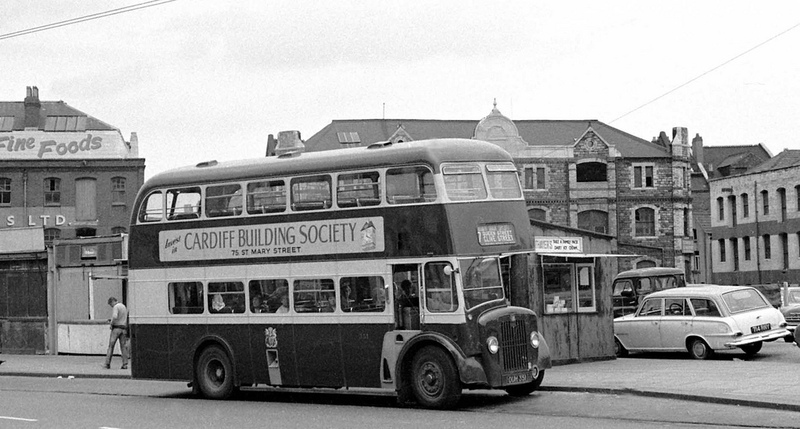 Wilson’s East Lancs bodied Bristol RESL OCW 454 P. Ian R Simpson.